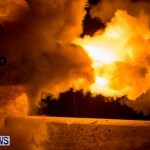 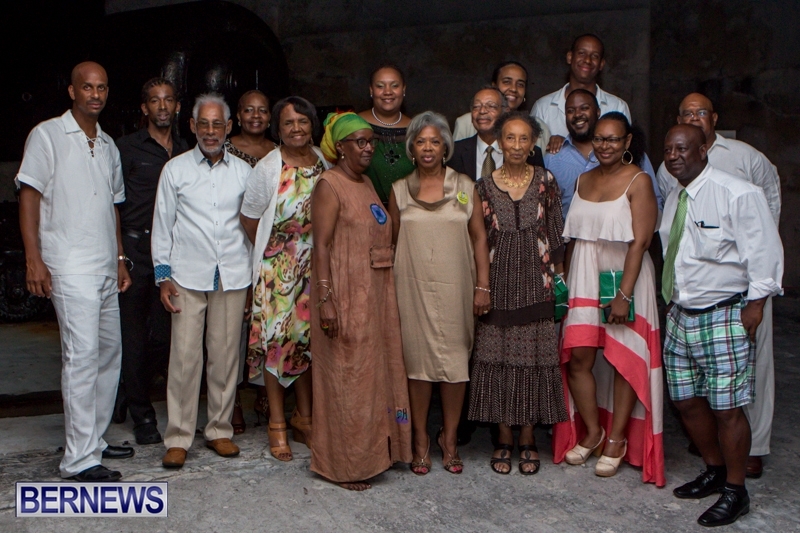 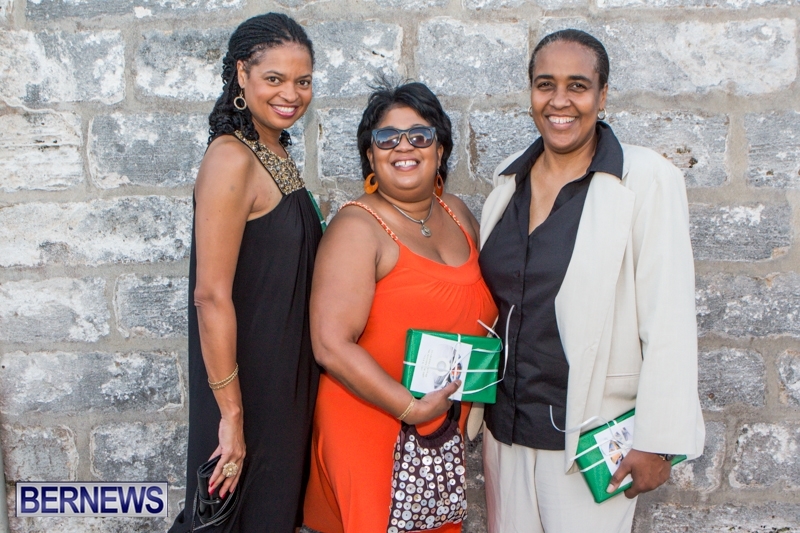 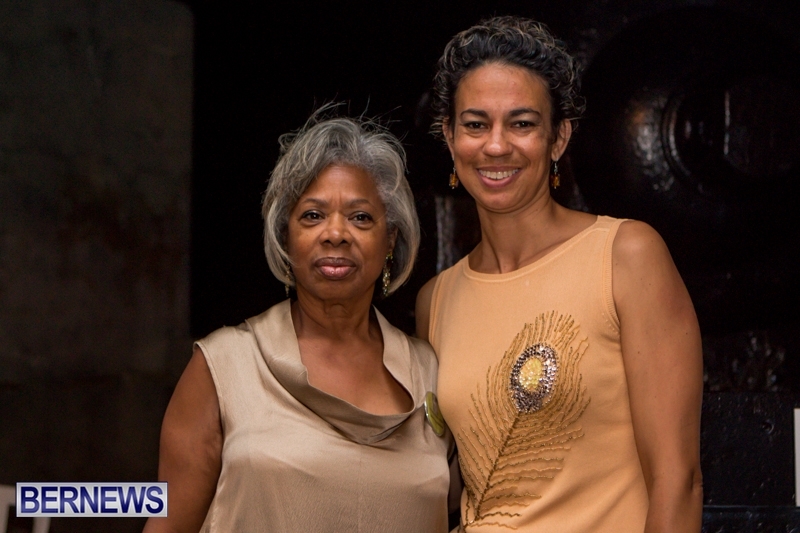 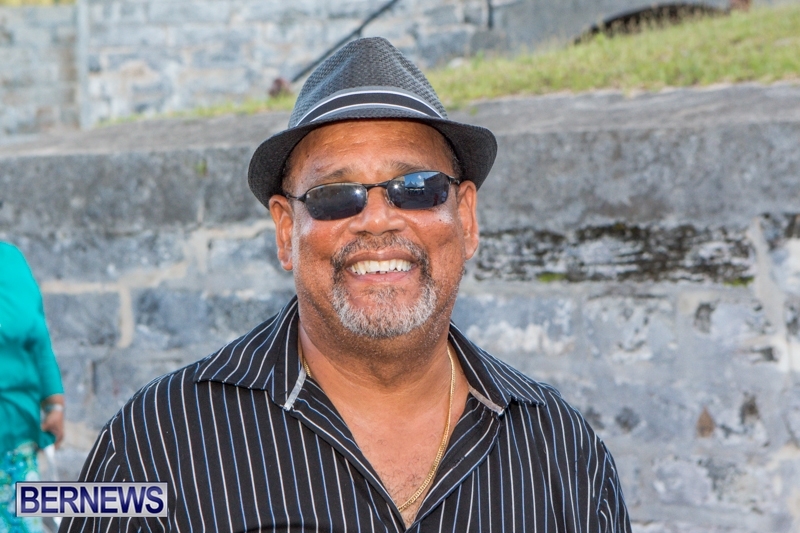 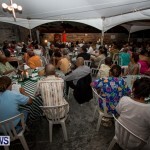 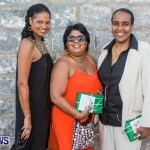 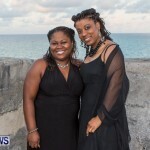 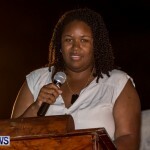 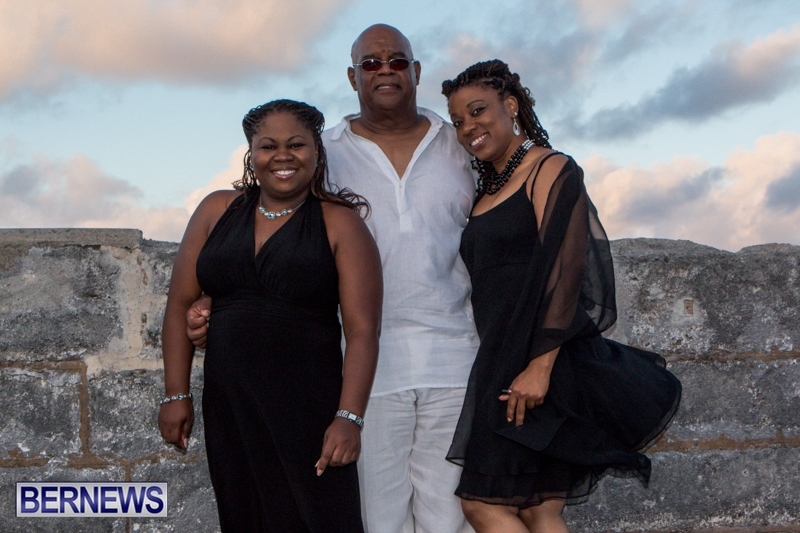 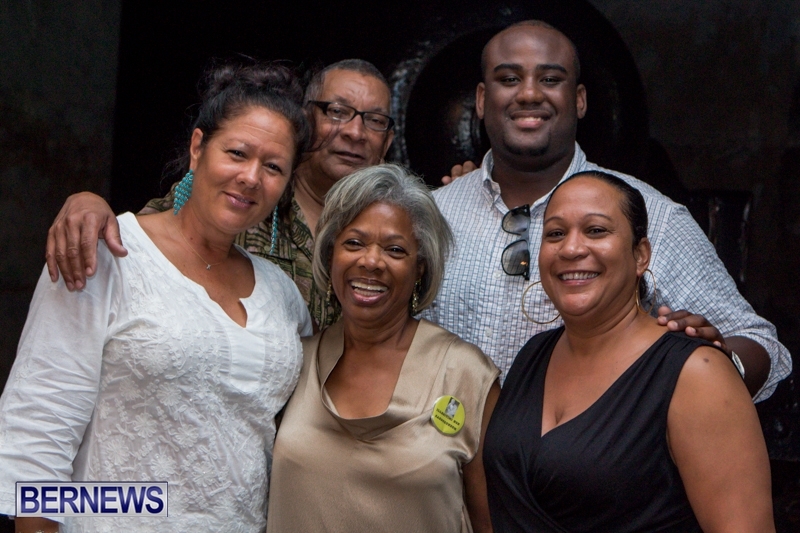 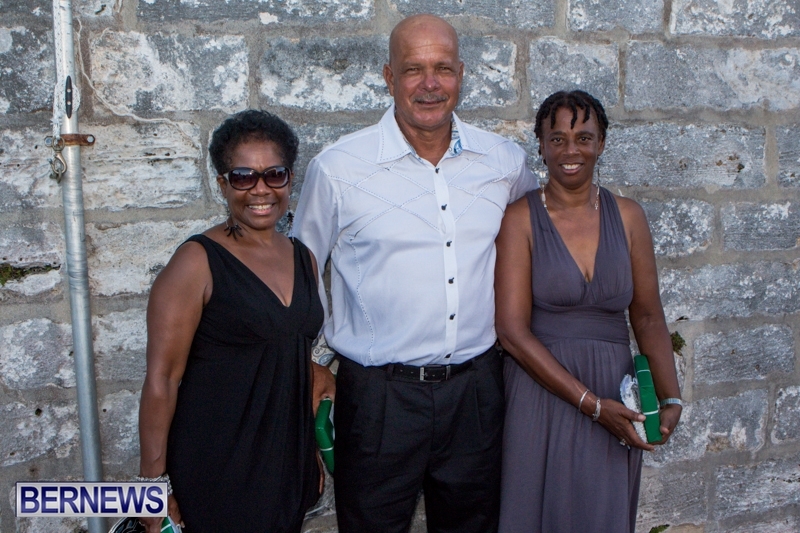 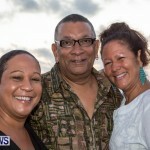 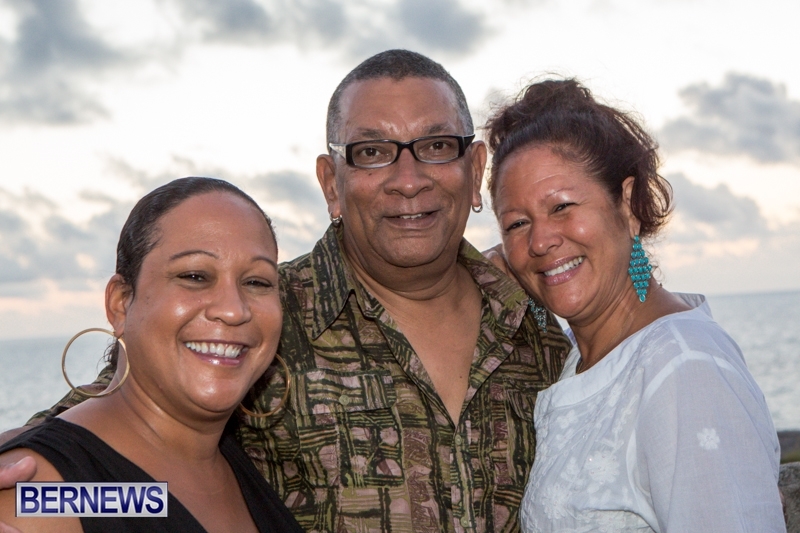 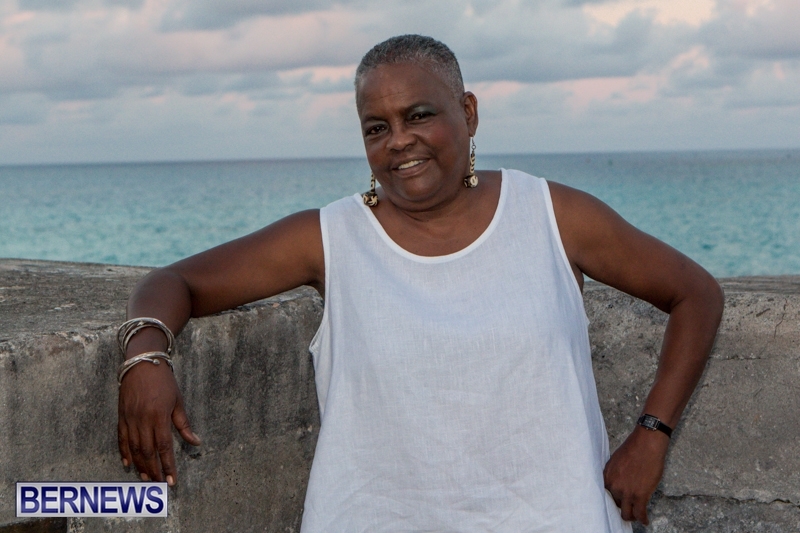 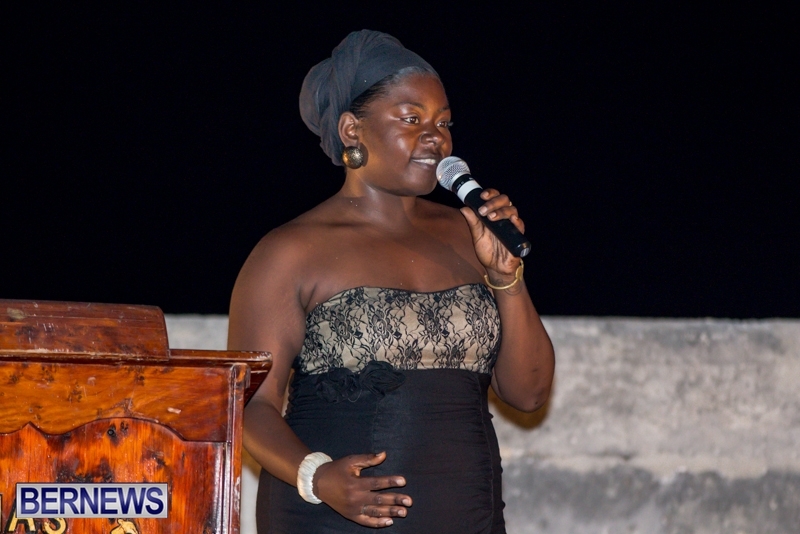 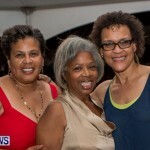 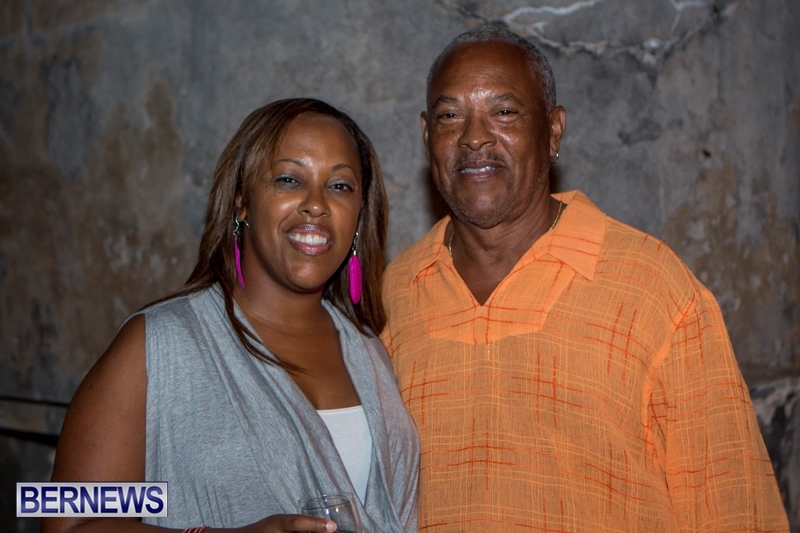 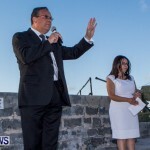 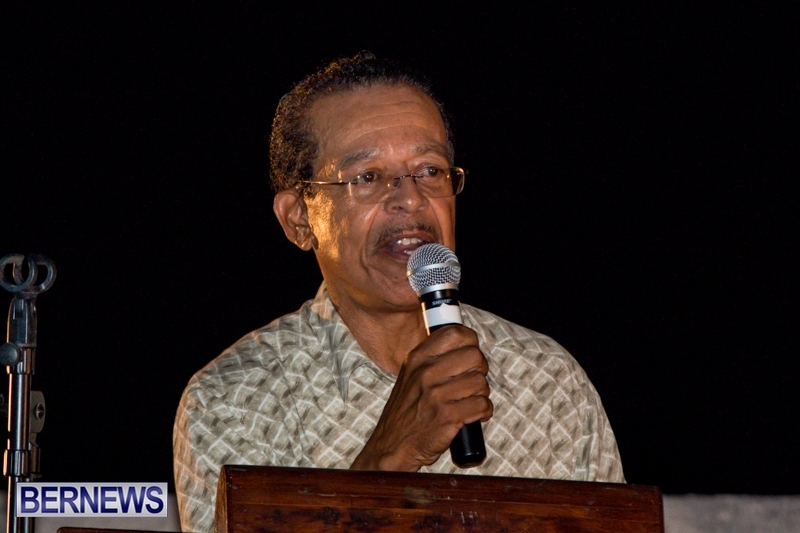 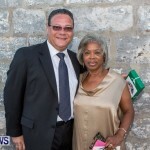 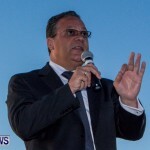 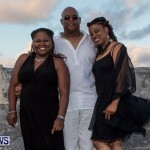 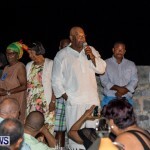 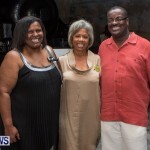 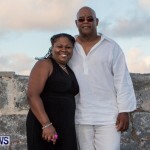 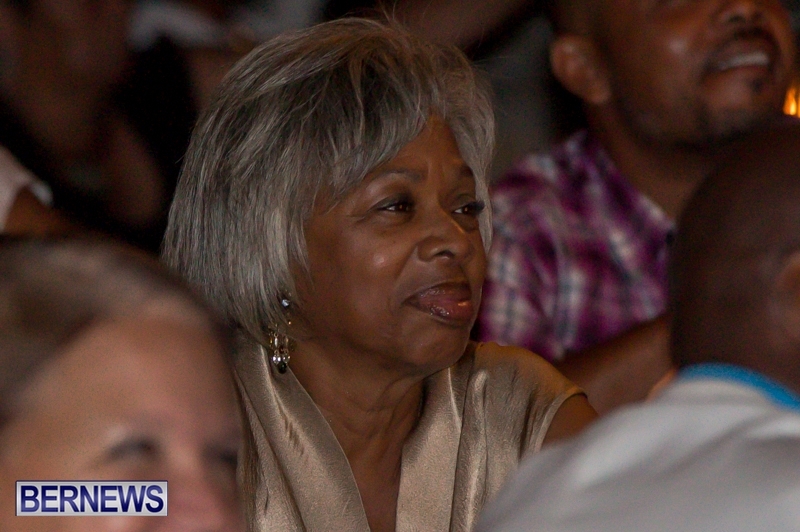 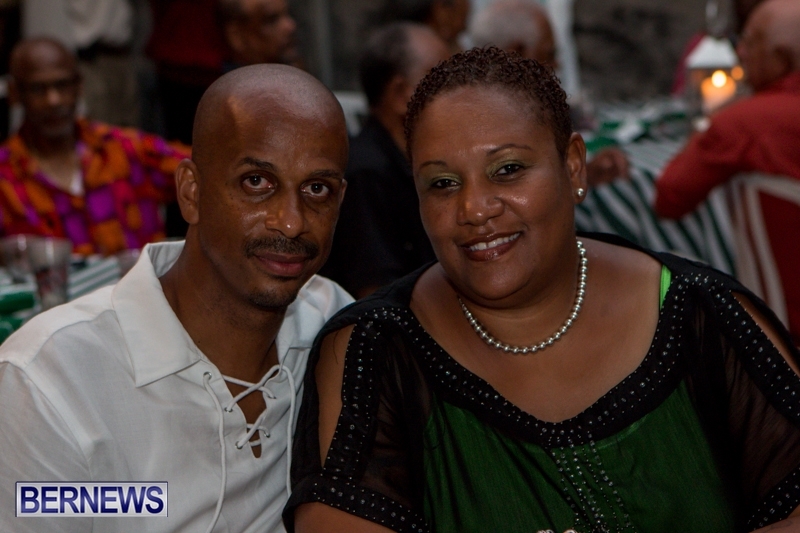 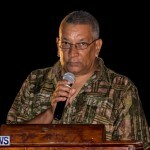 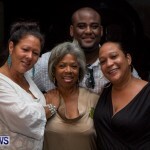 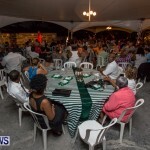 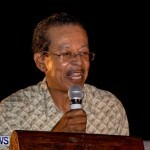 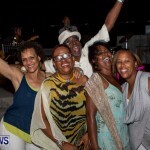 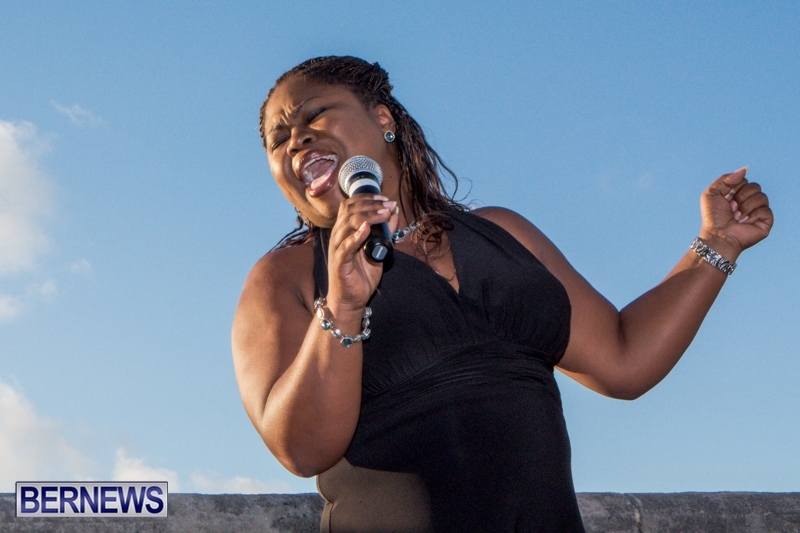 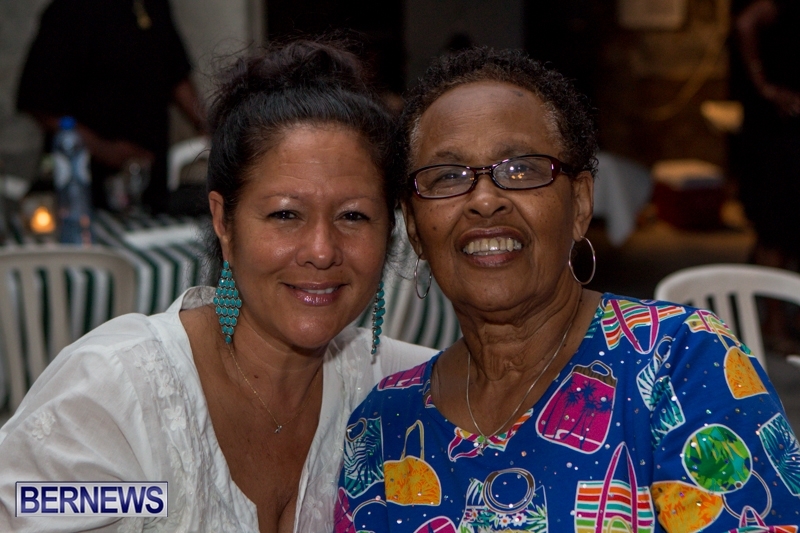 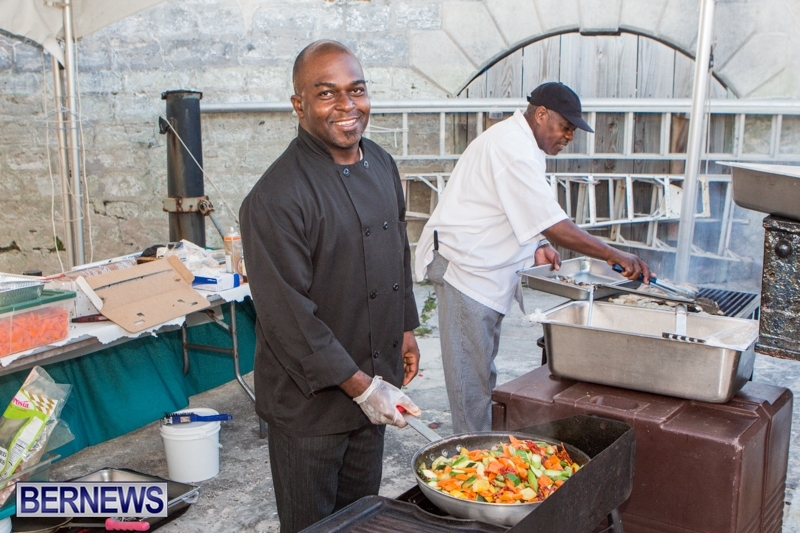 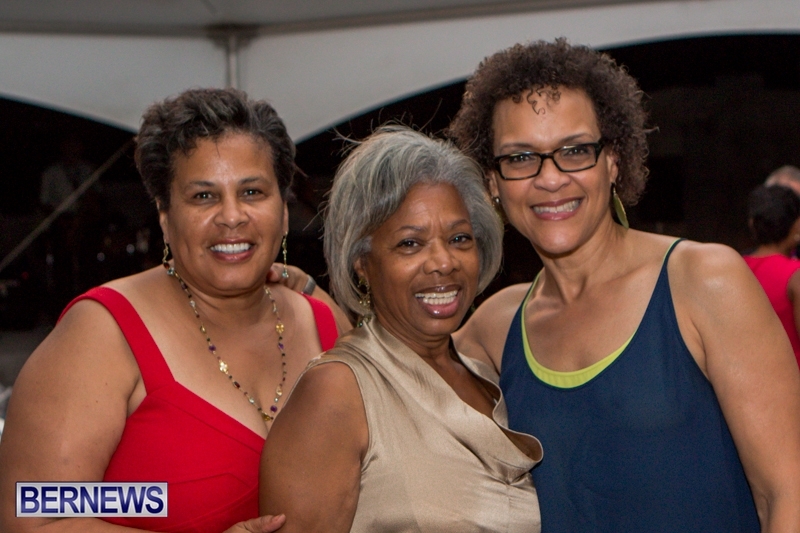 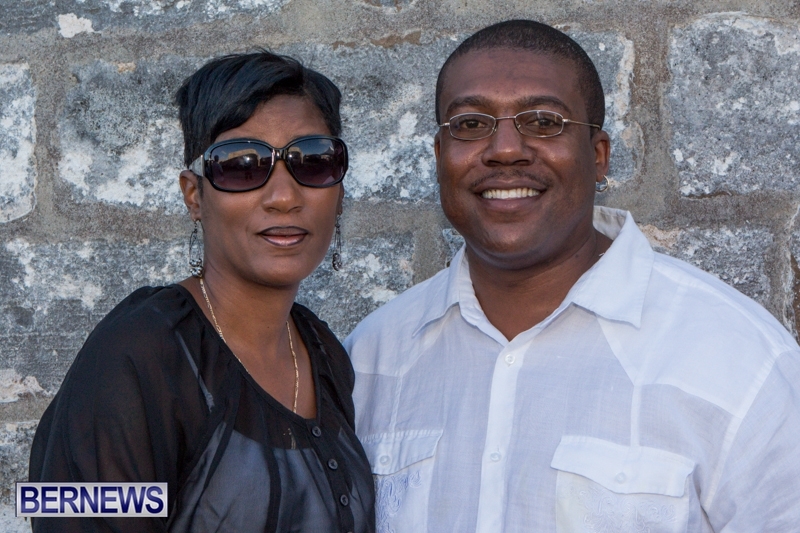 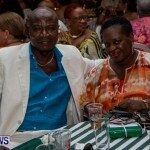 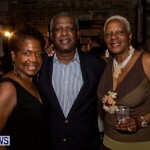 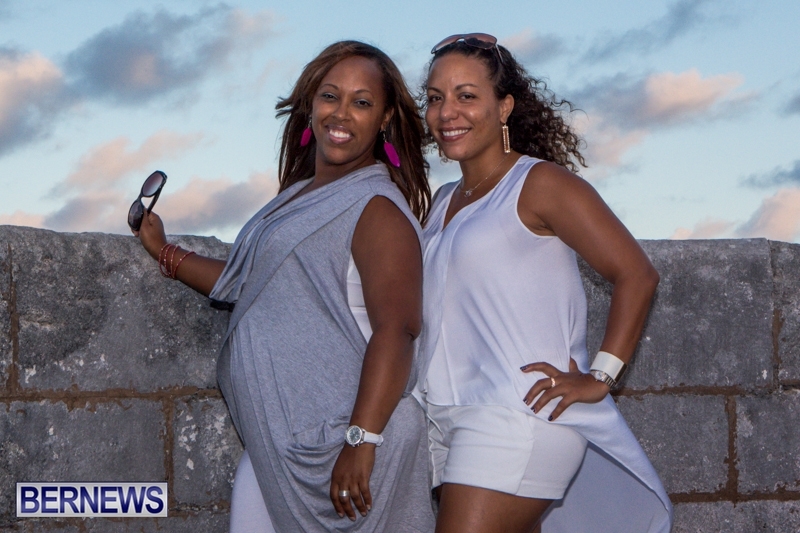 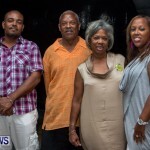 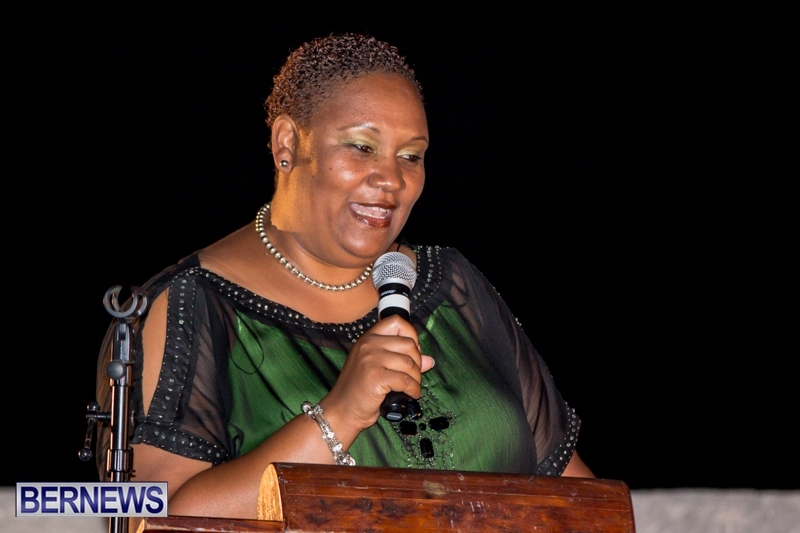 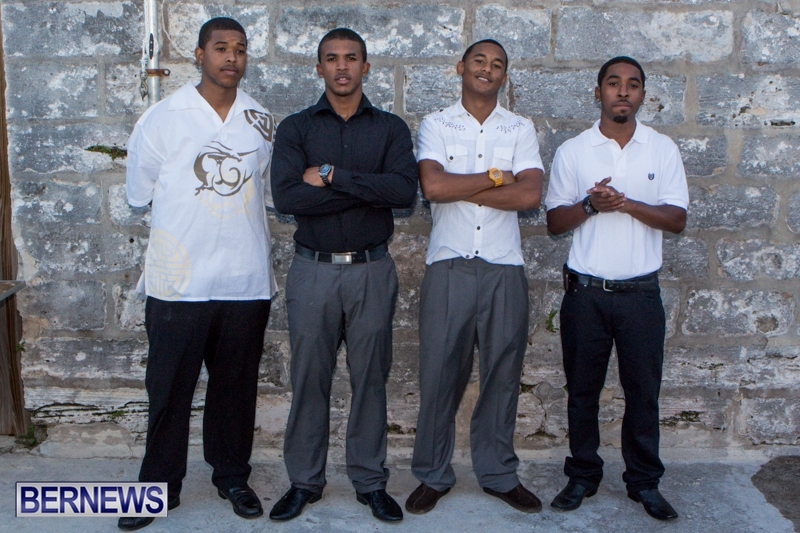 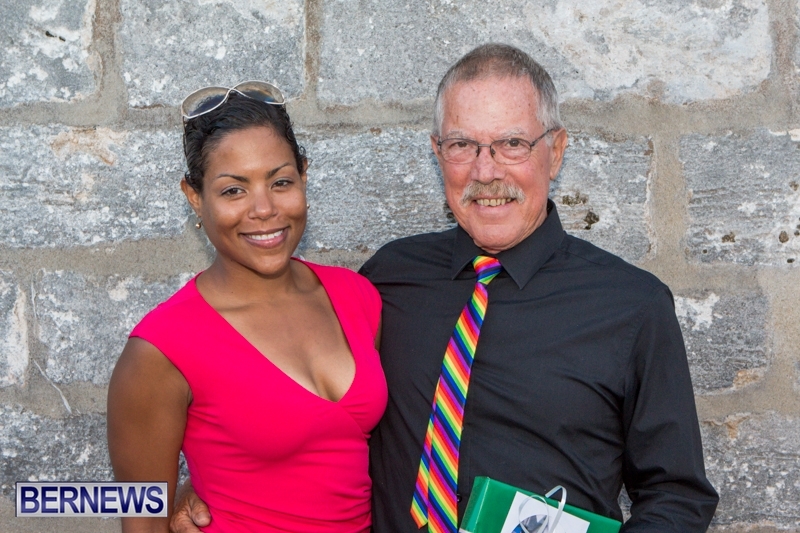 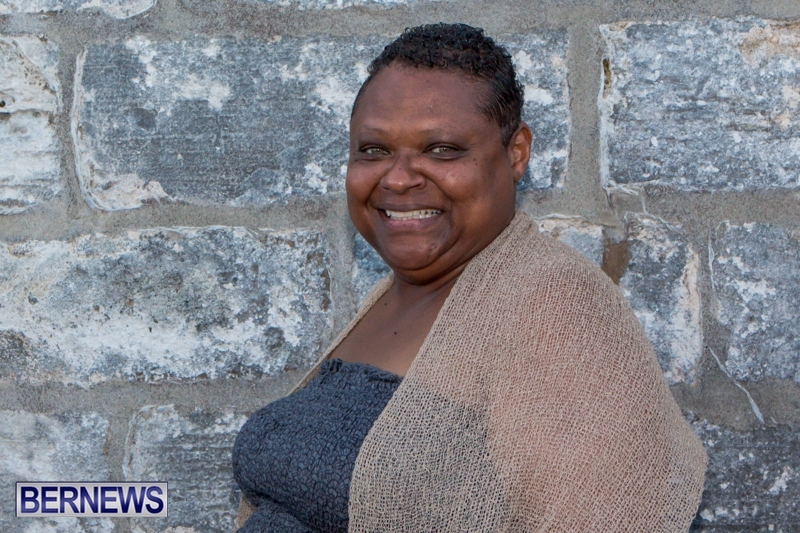 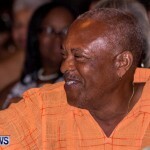 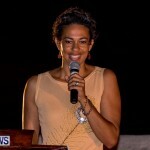 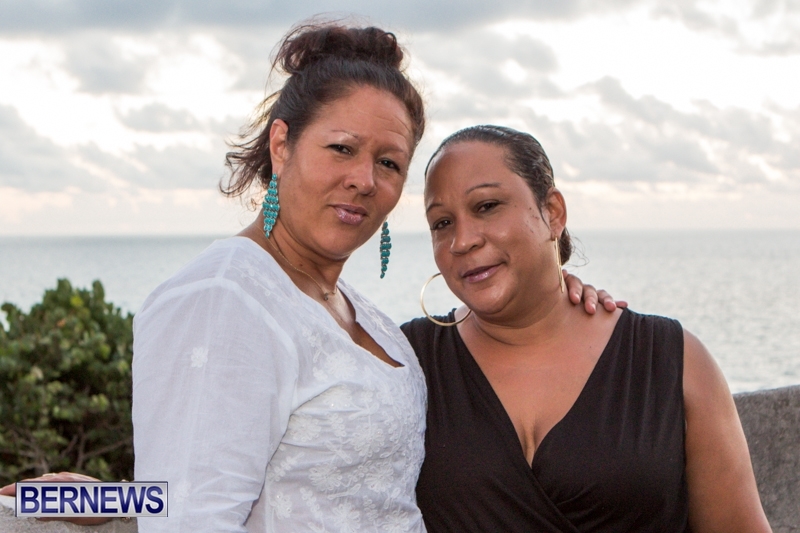 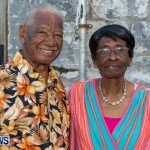 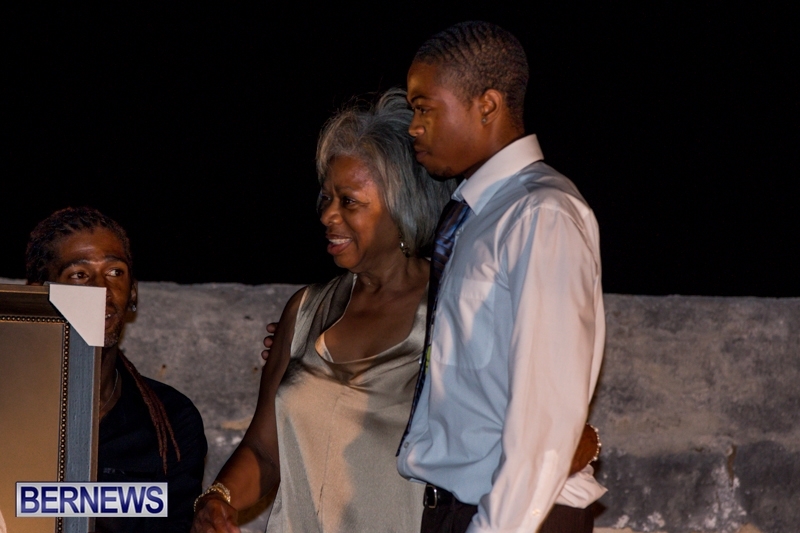 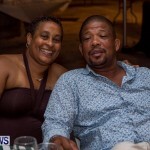 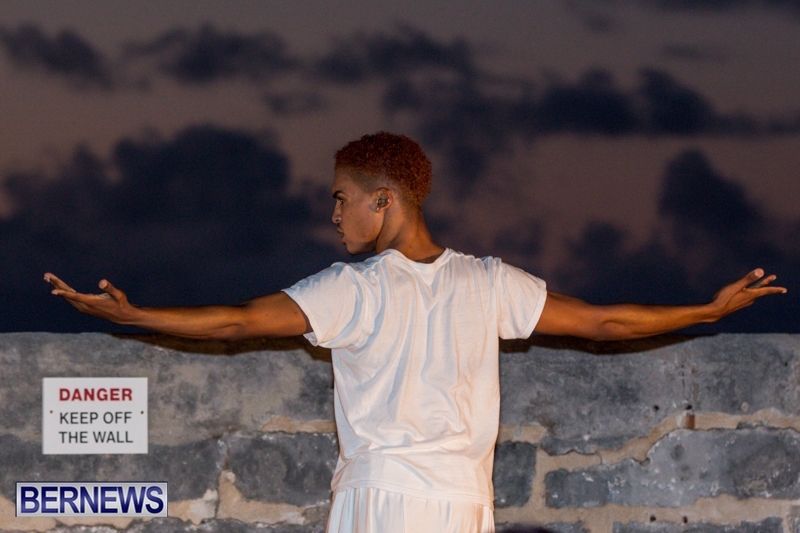 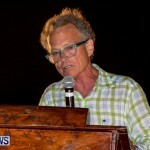 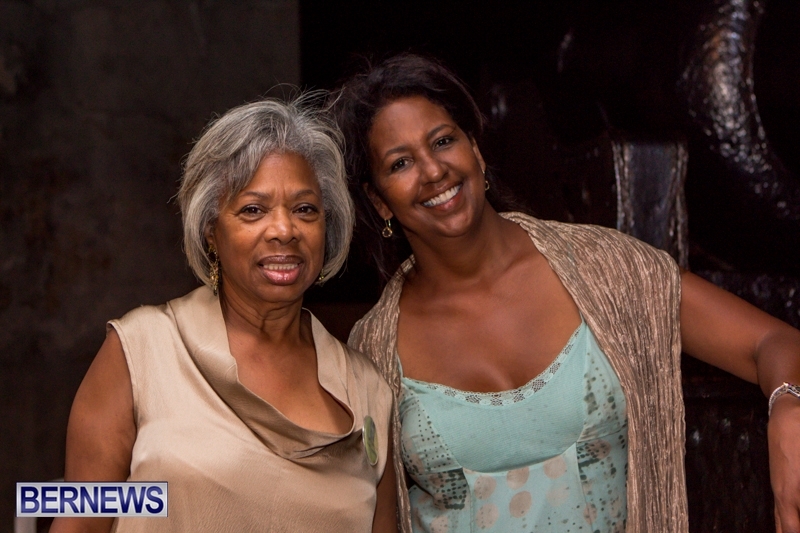 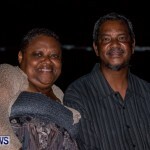 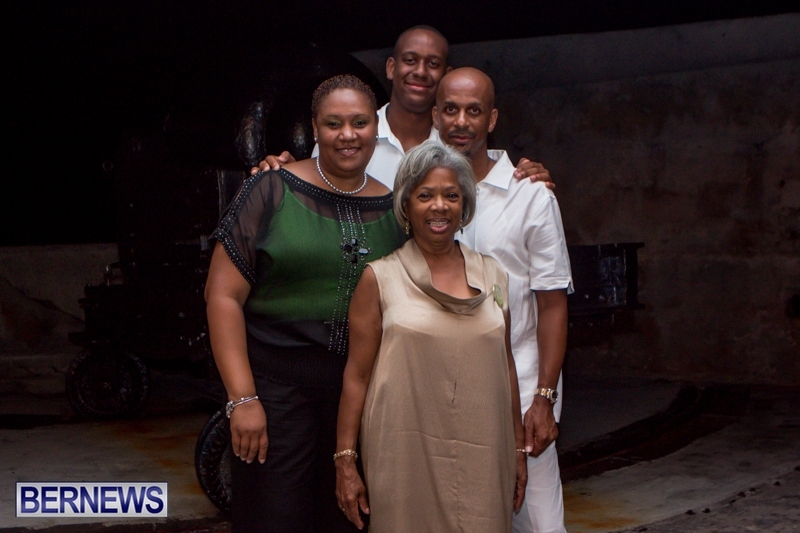 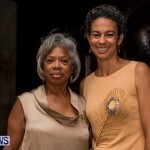 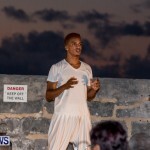 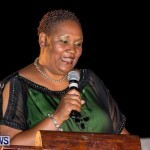 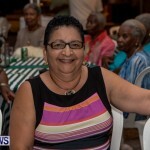 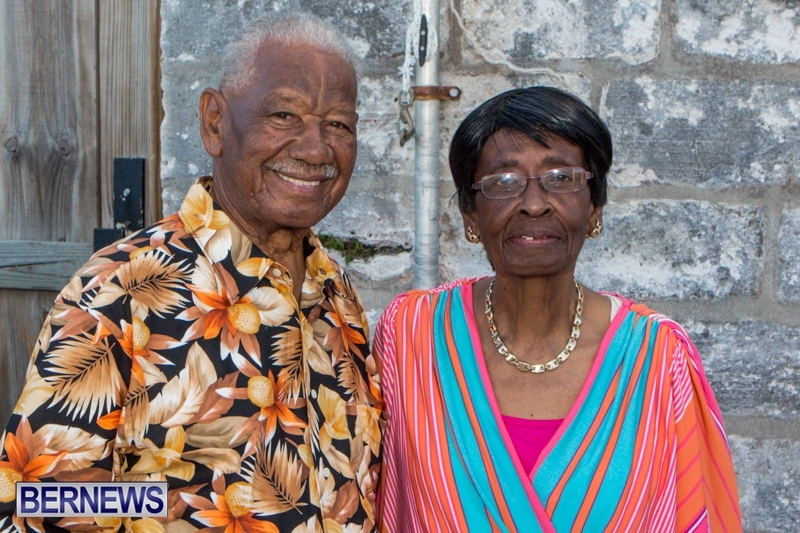 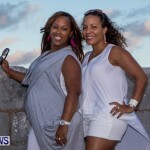 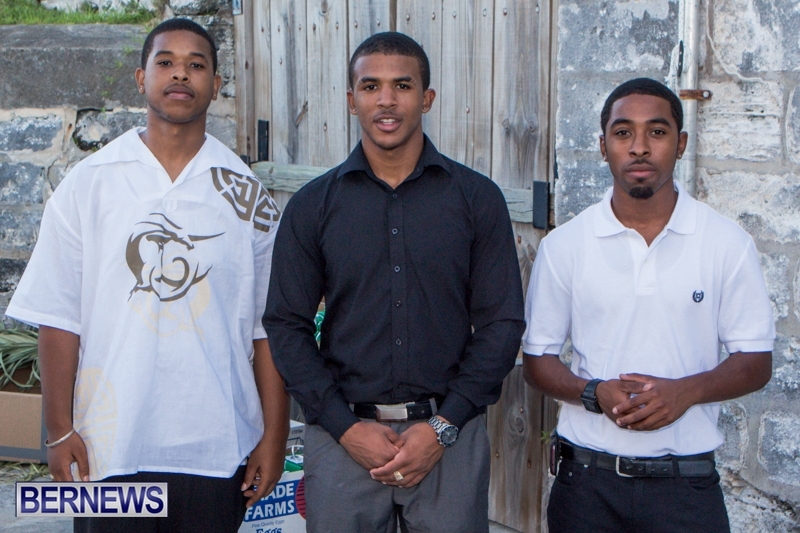 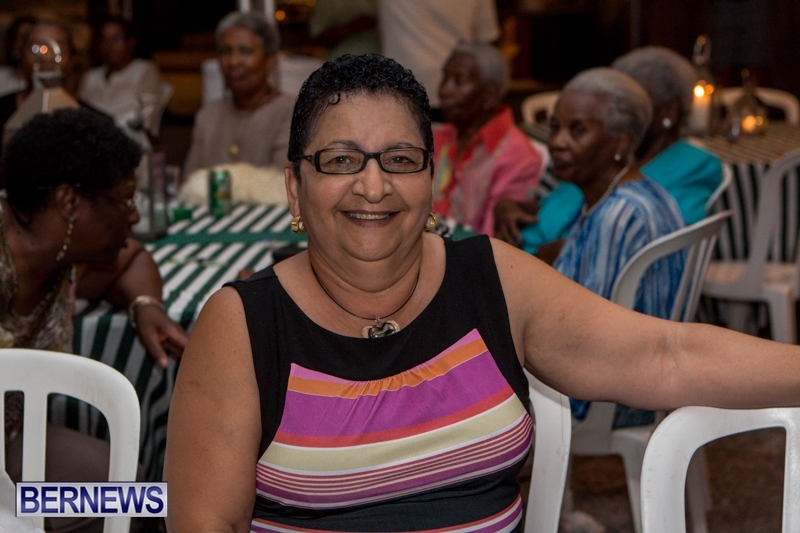 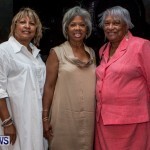 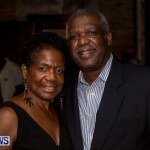 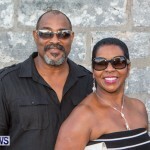 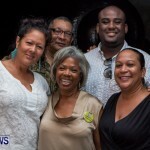 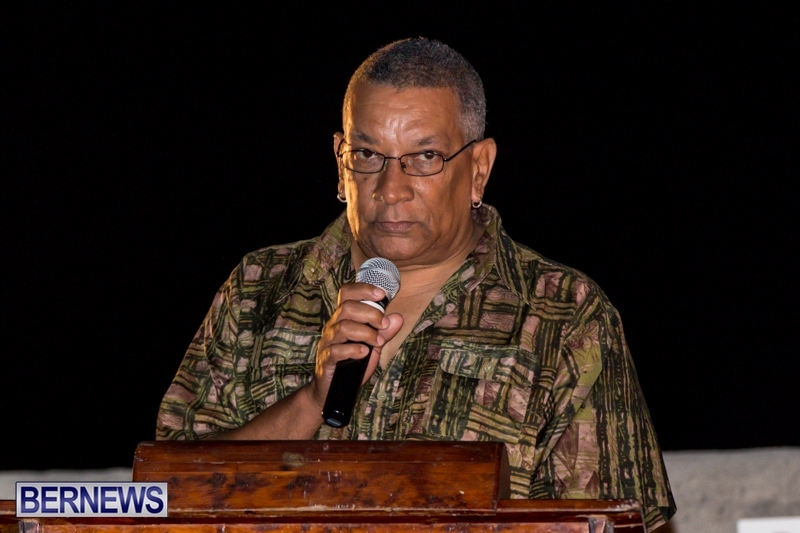 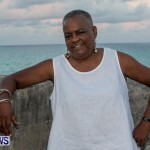 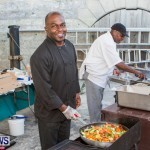 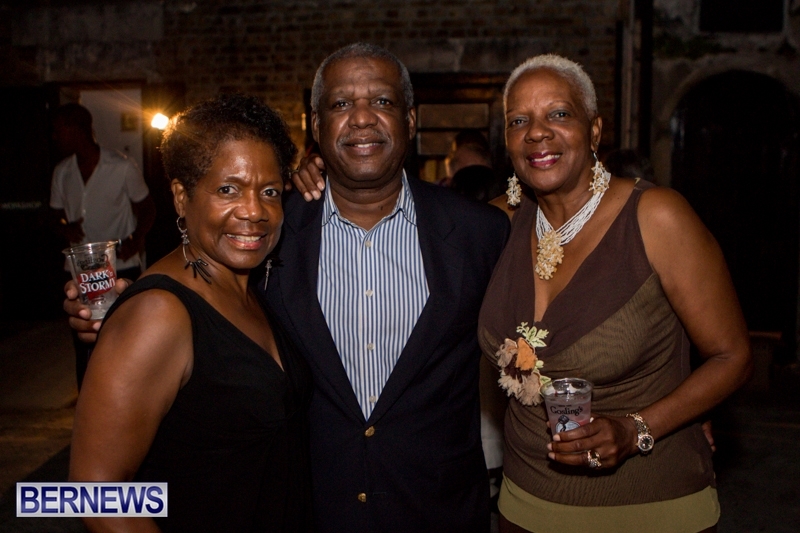 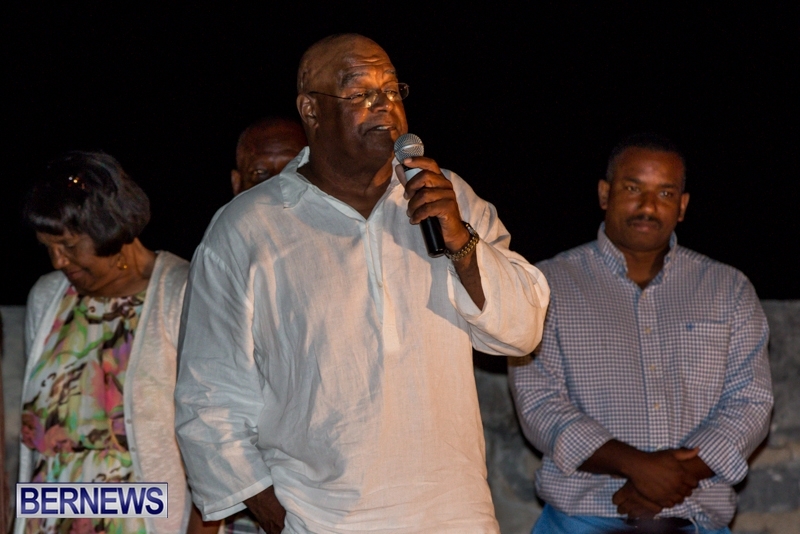 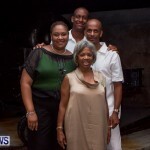 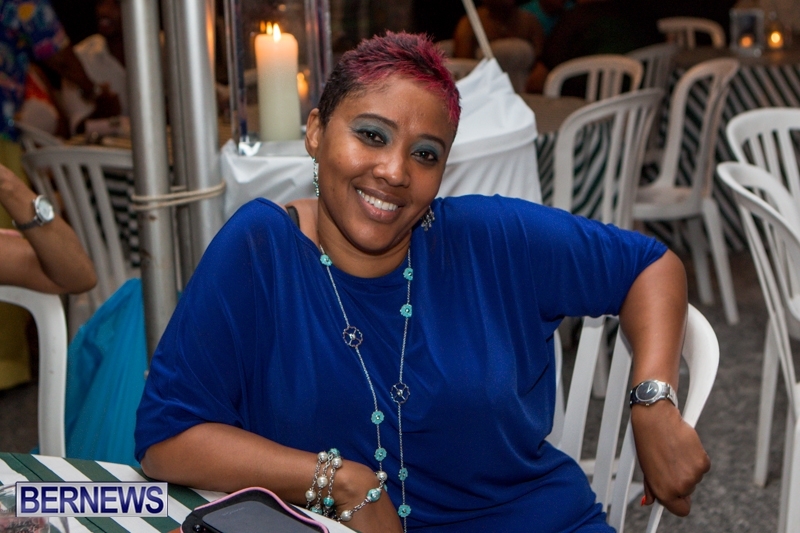 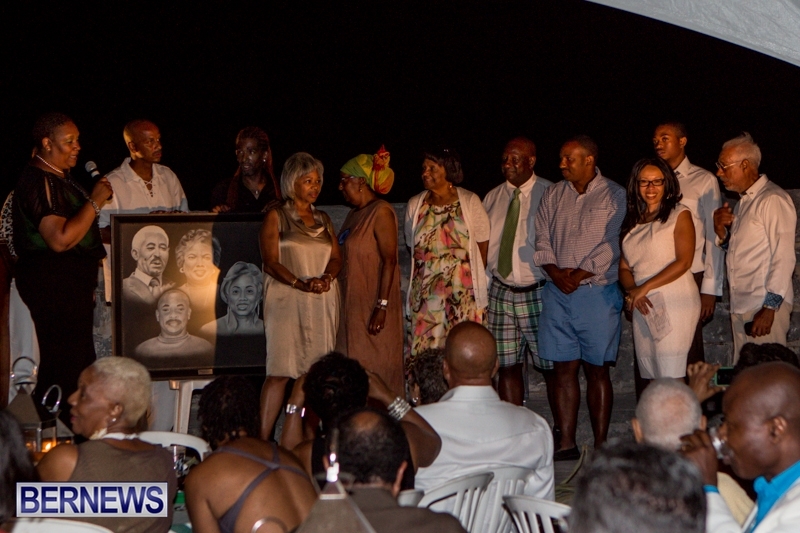 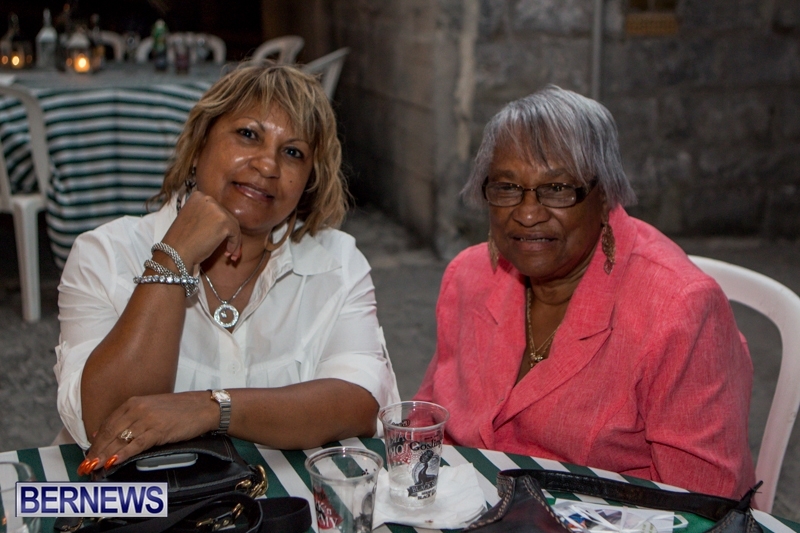 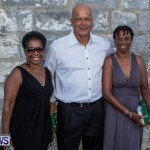 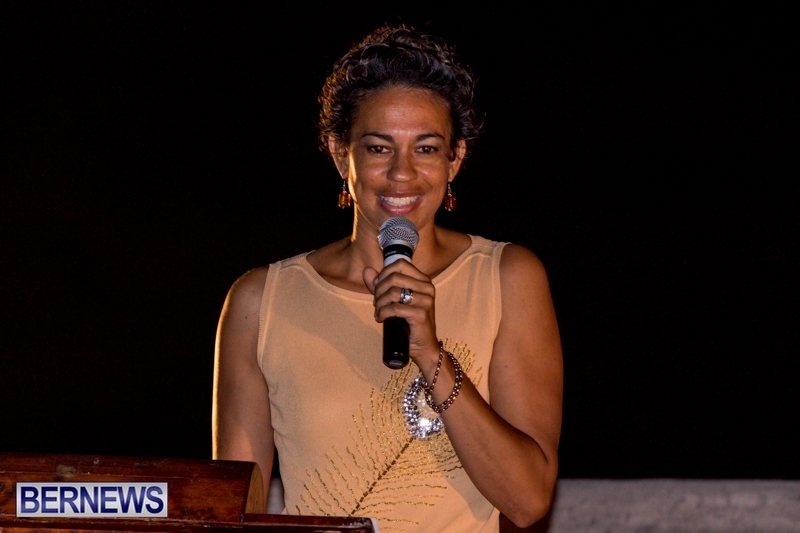 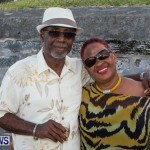 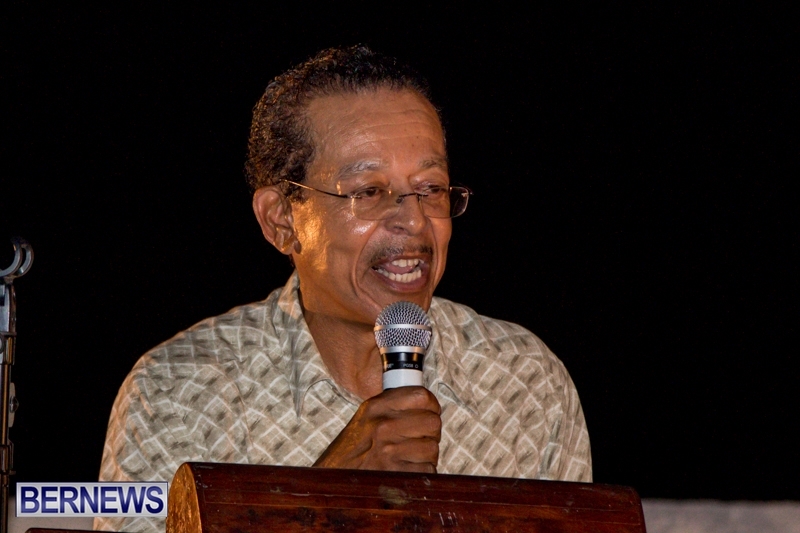 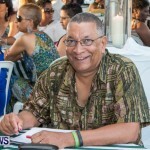 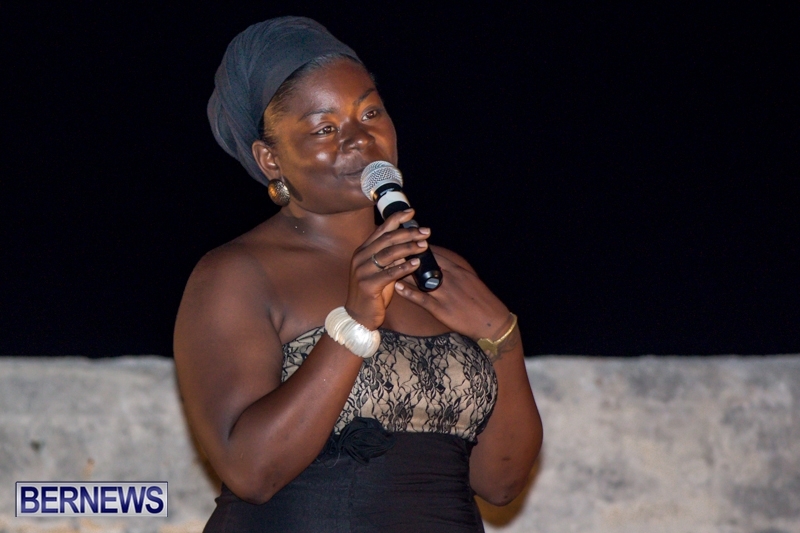 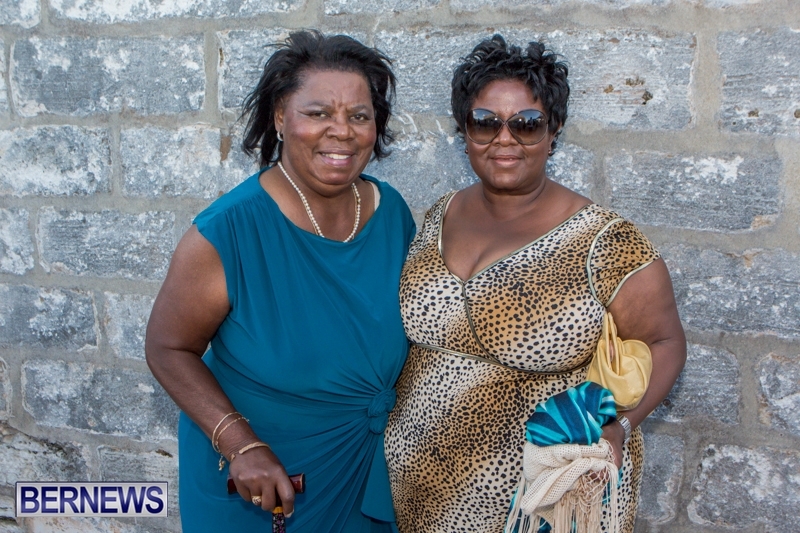 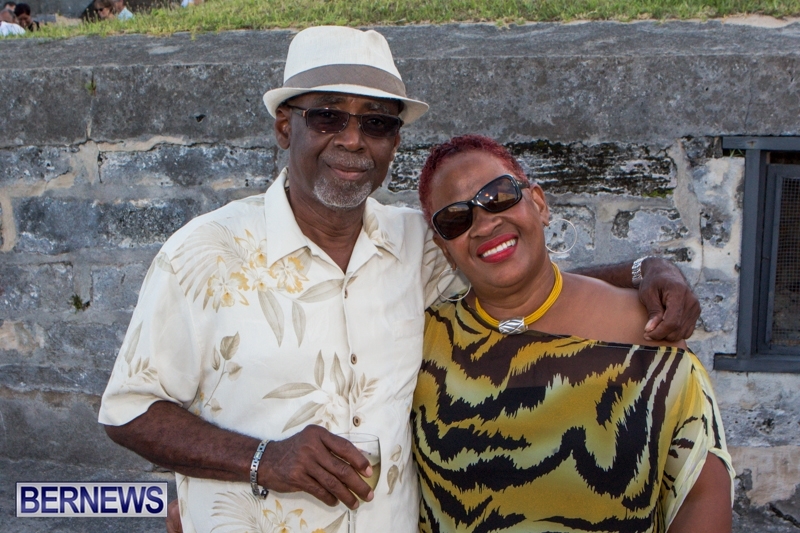 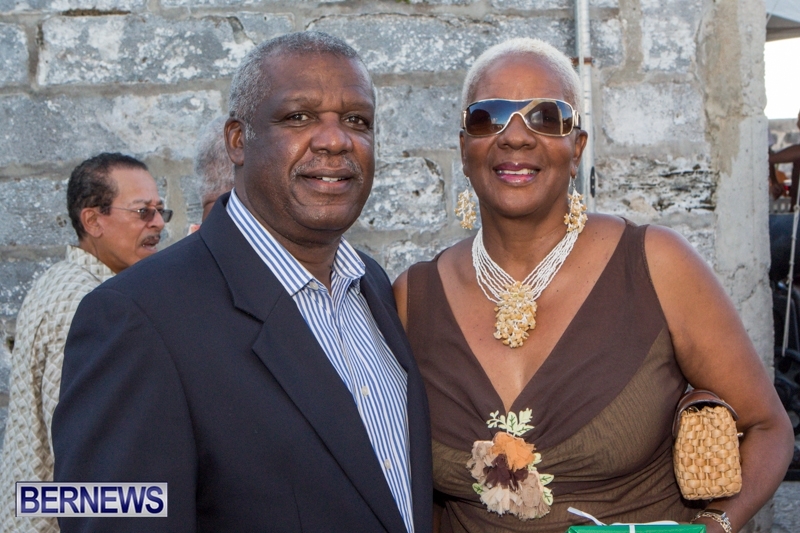 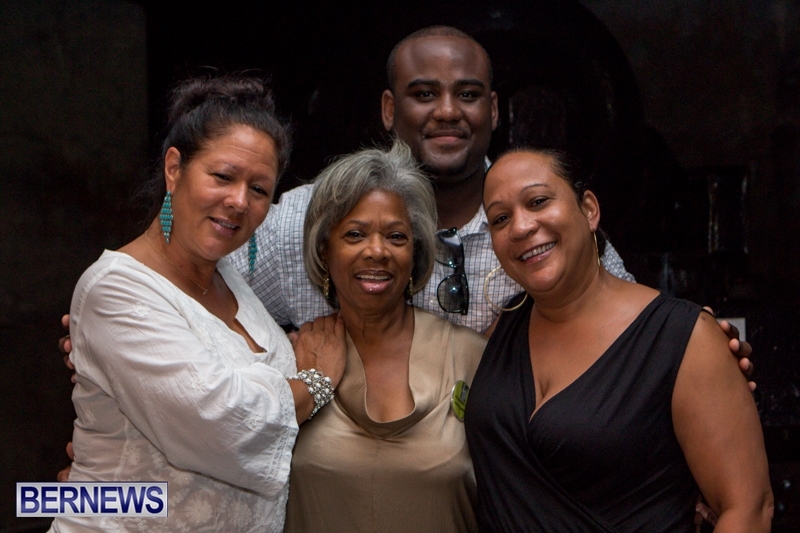 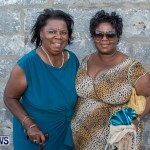 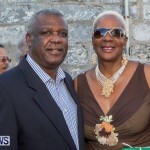 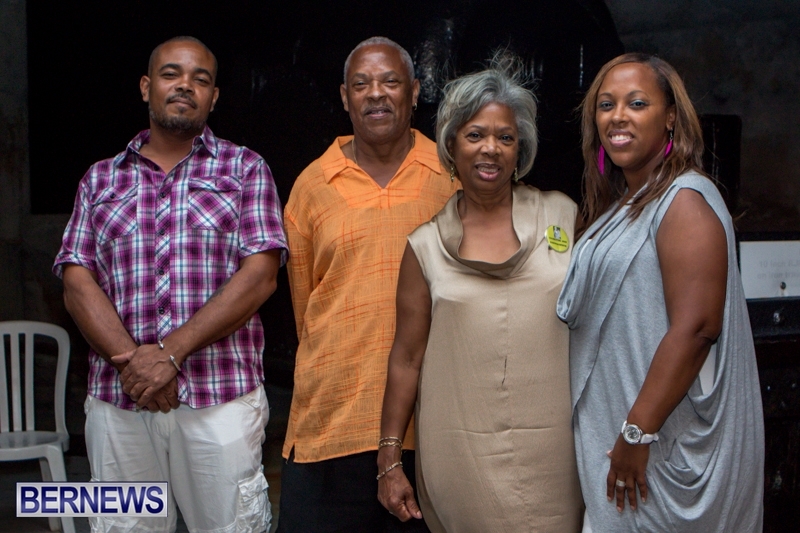 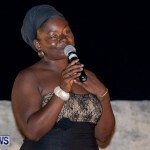 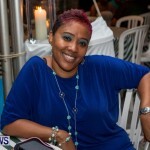 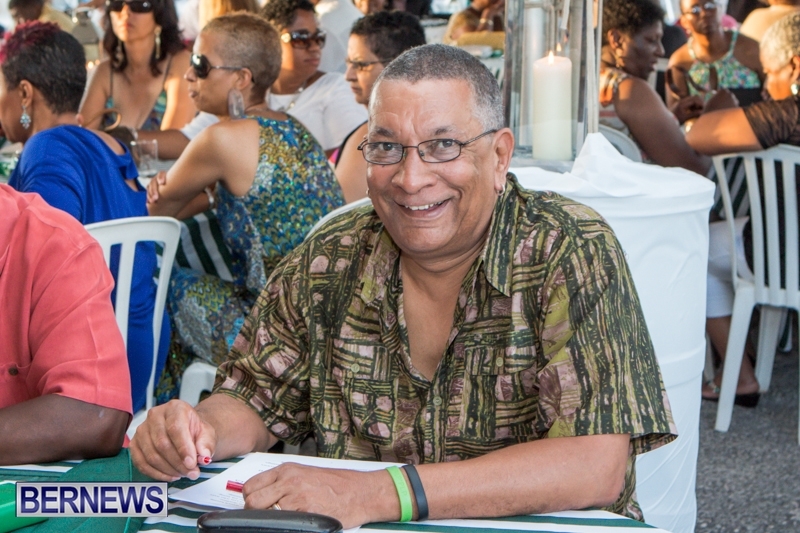 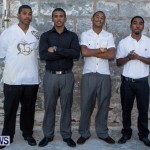 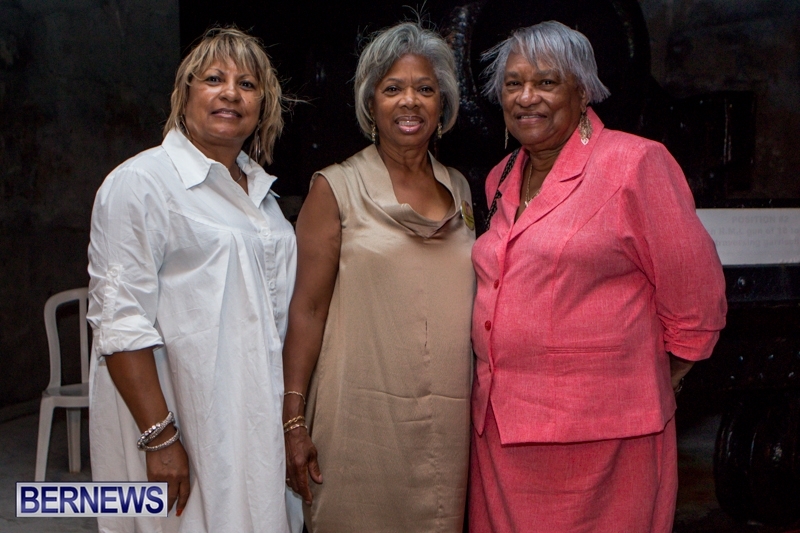 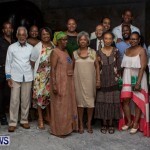 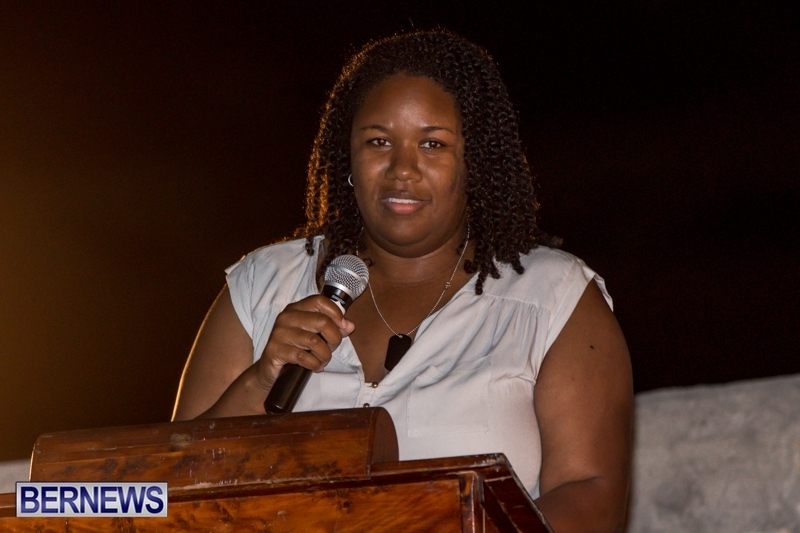 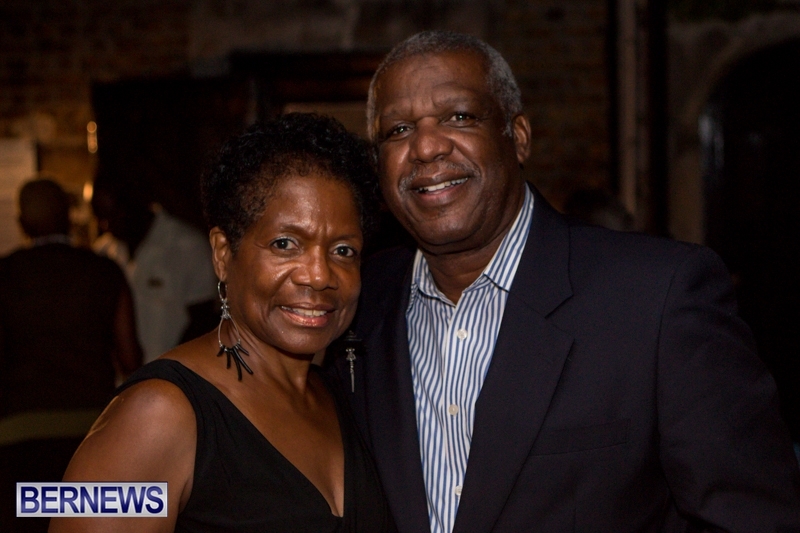 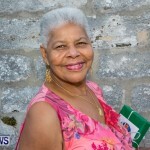 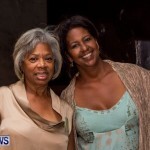 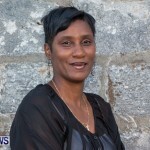 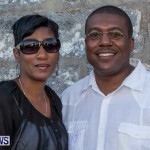 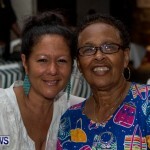 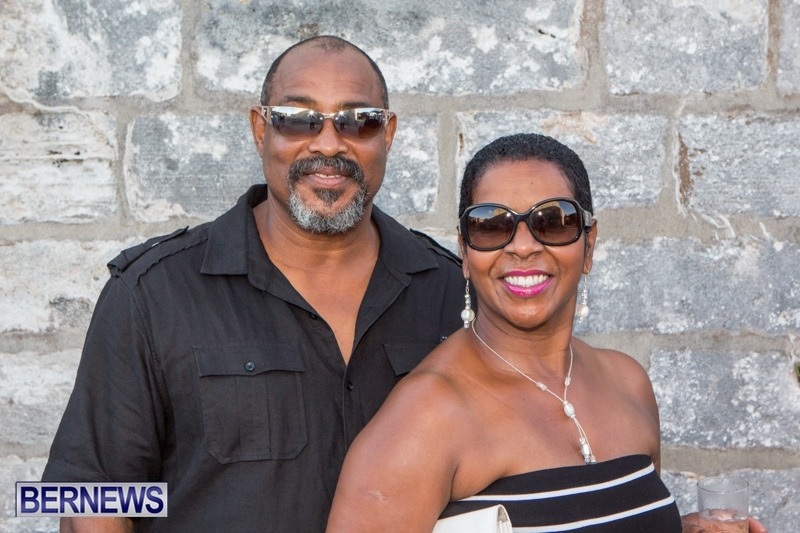 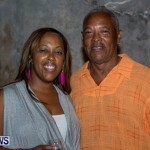 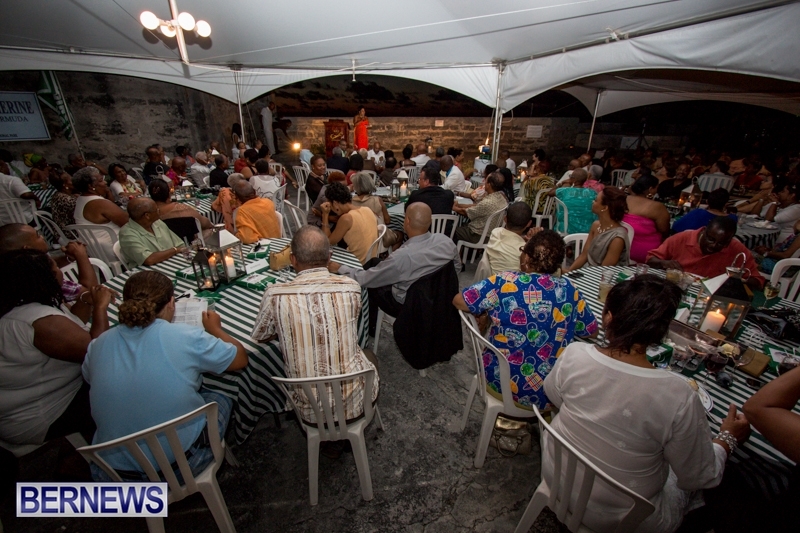 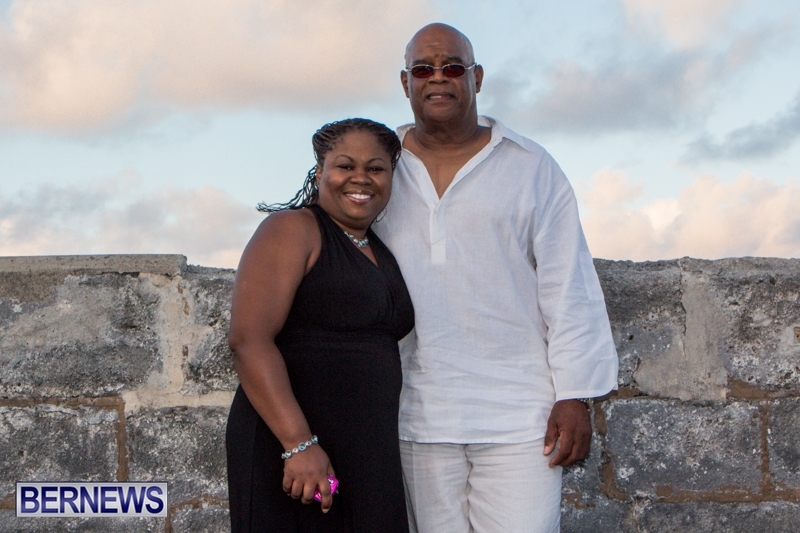 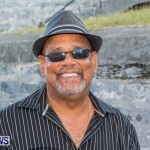 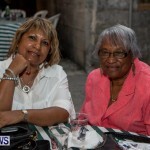 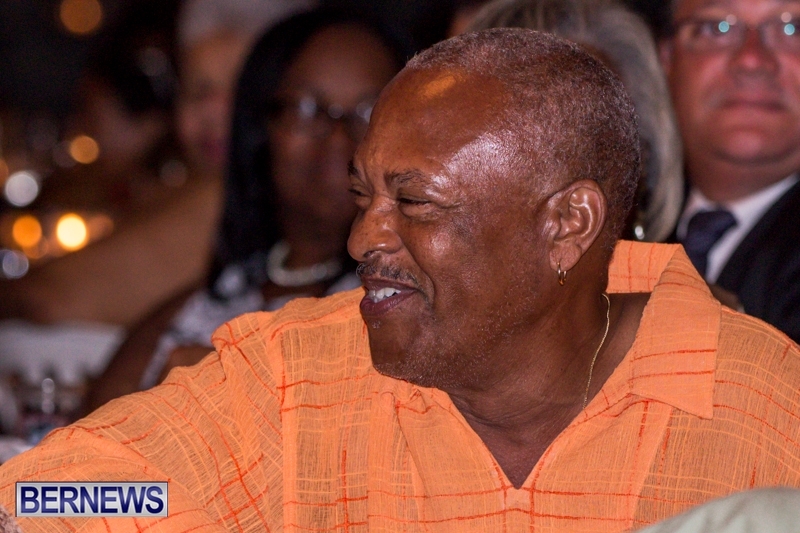 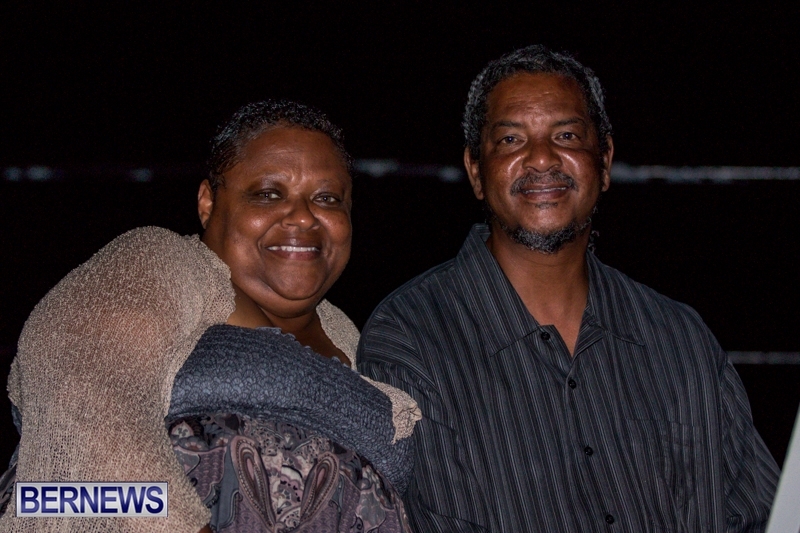 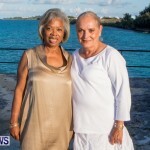 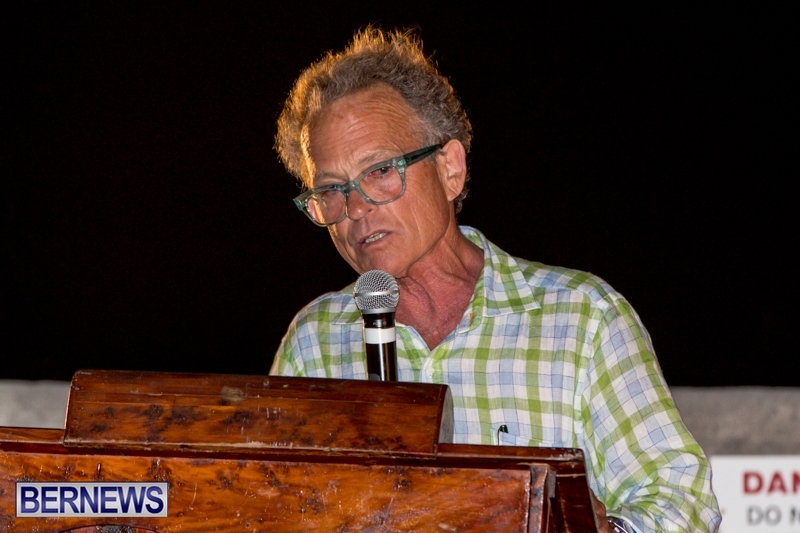 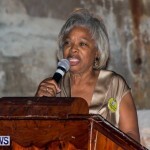 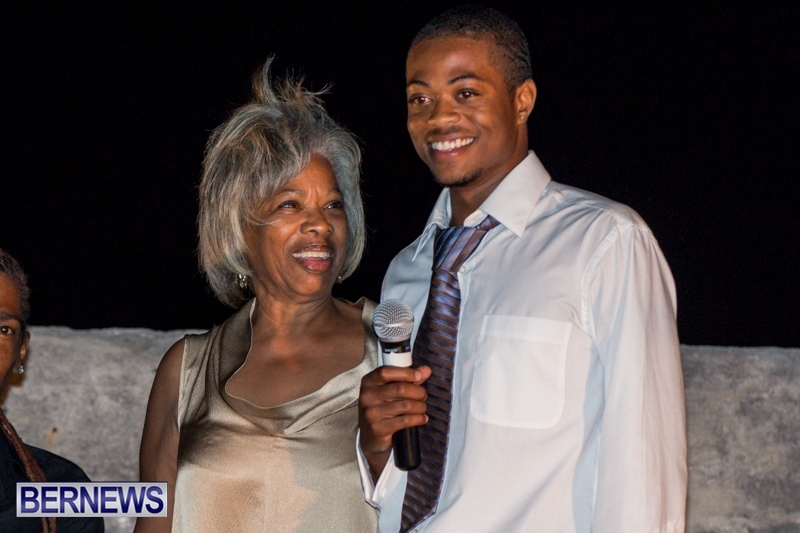 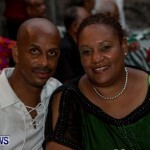 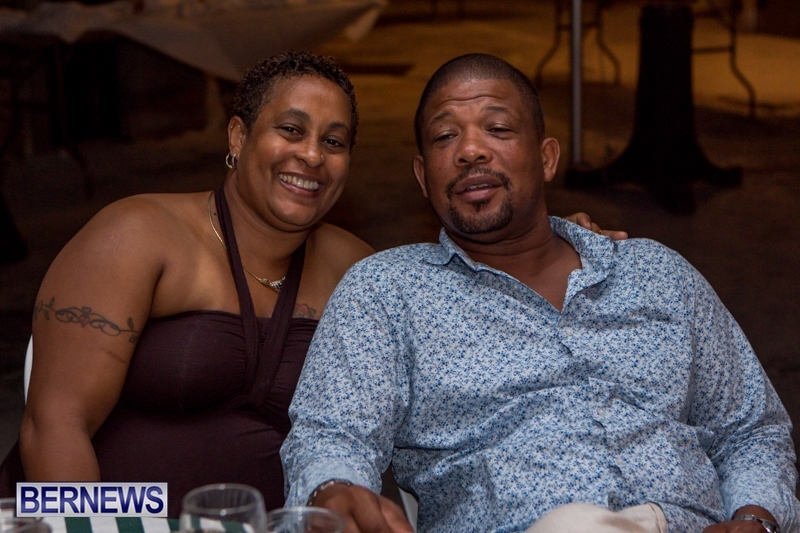 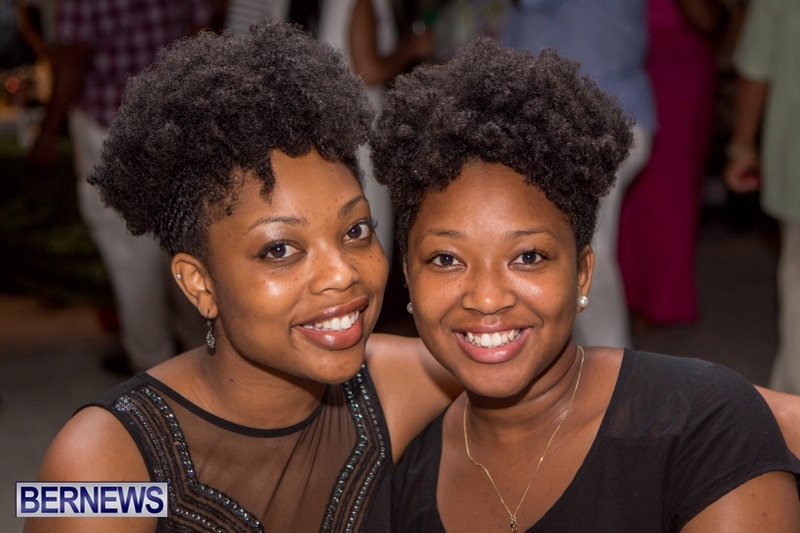 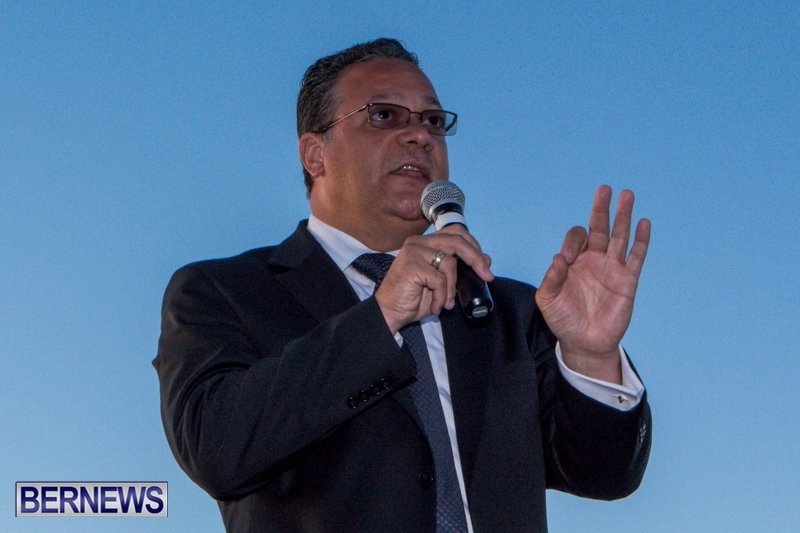 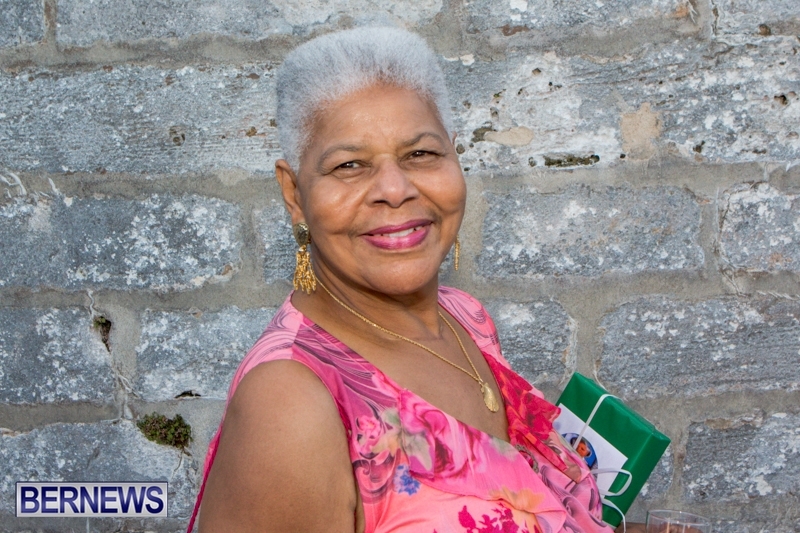 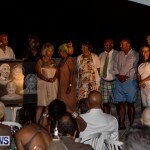 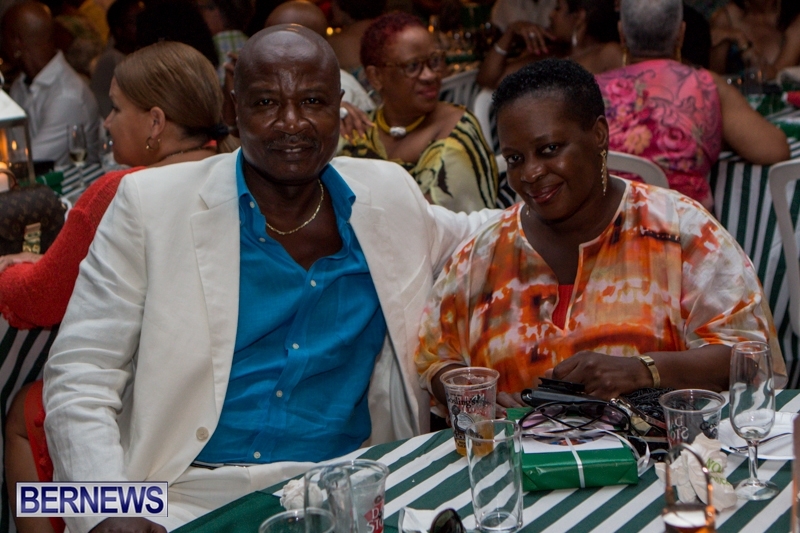 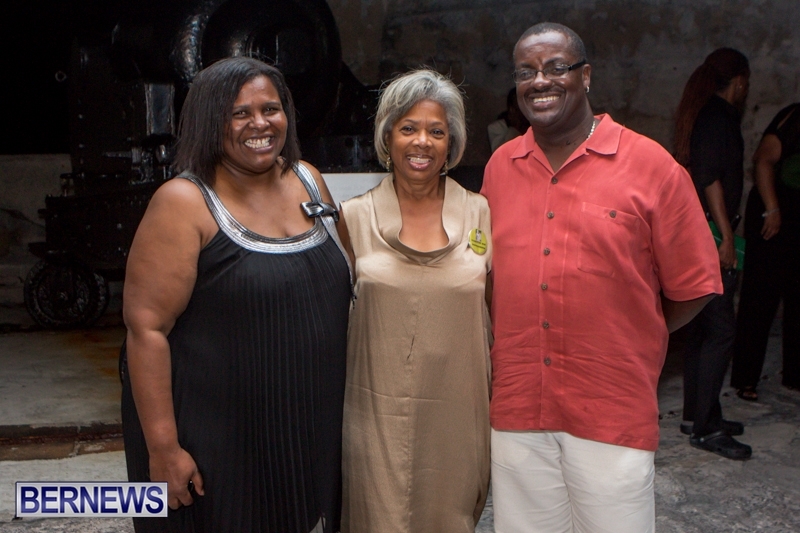 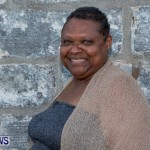 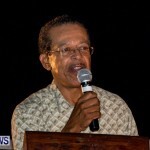 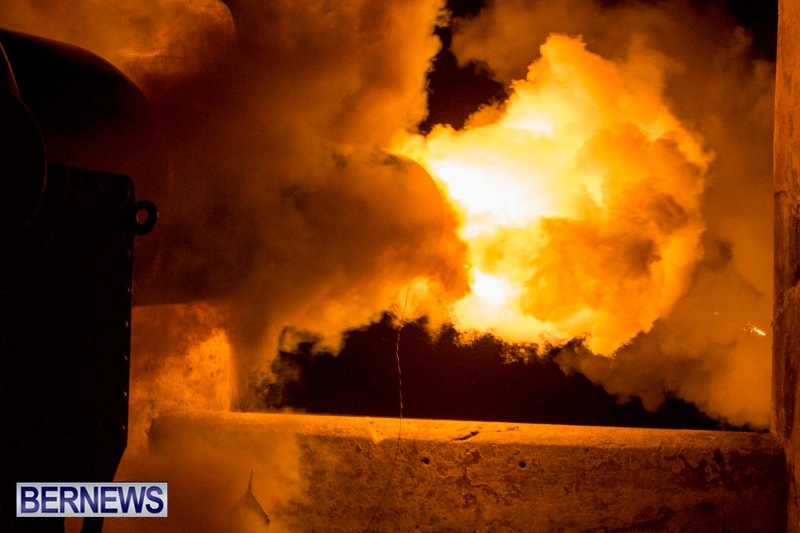 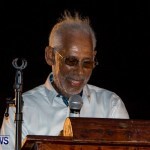 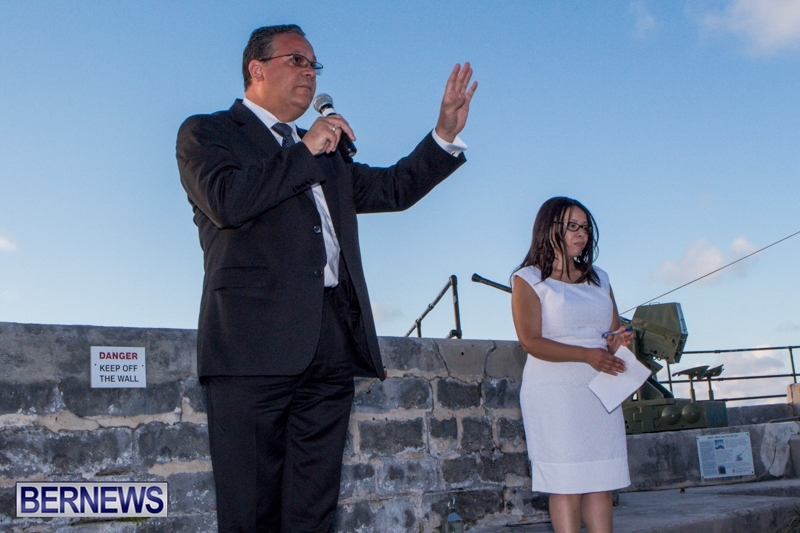 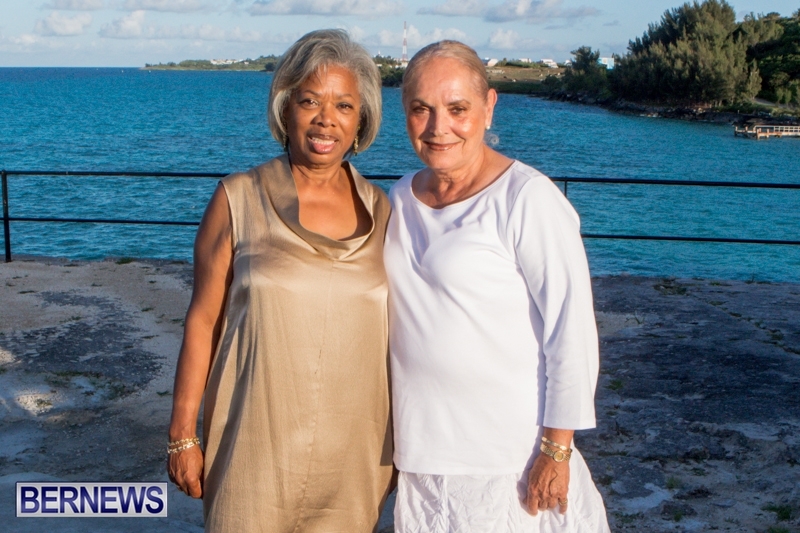 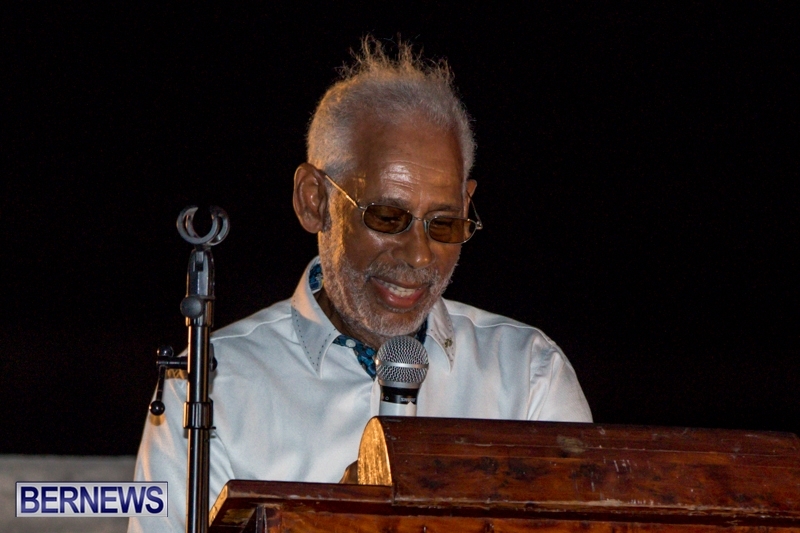 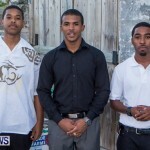 A celebration for Dame Jennifer Smith was held on Saturday night [July 6] at Fort St. Catherine’s, which was organised by the St George’s branch of the Progressive Labour Party. 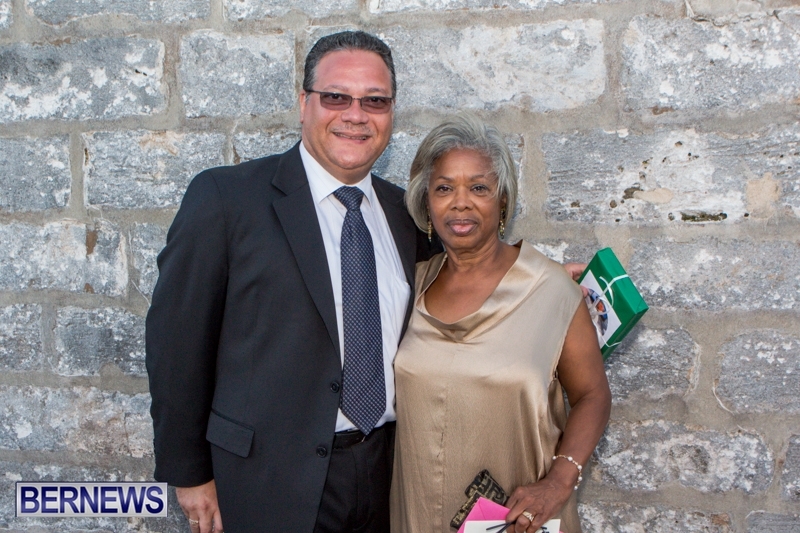 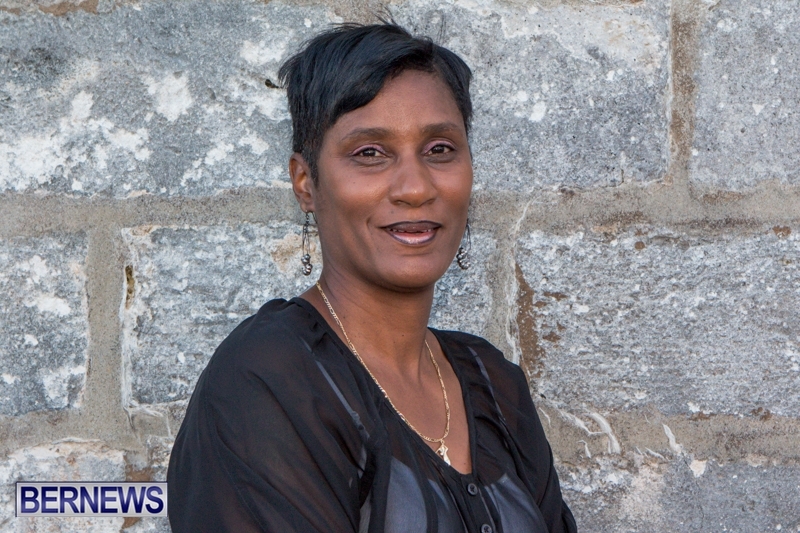 Dame Jennifer earned her place in Bermuda’s history as the first PLP Premier, the first female Senator and the first female Deputy Speaker. 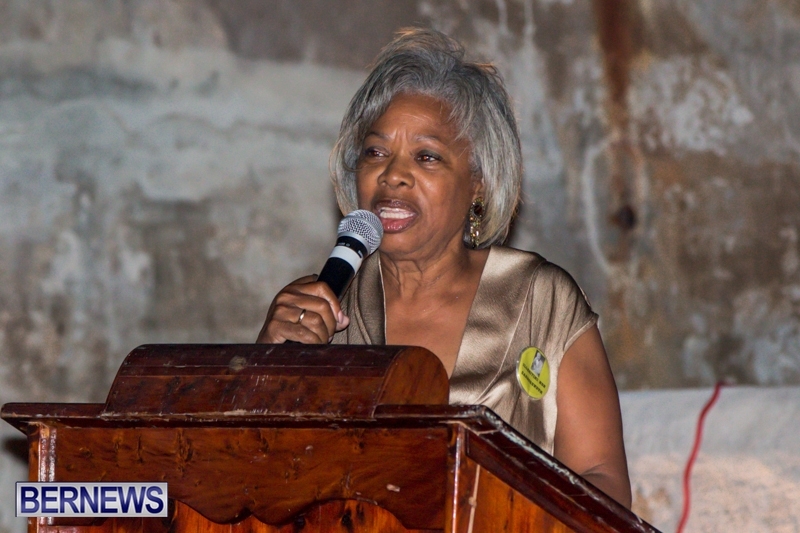 In 1972, Dame Jennifer became the youngest woman to run in a general election and in 1980, she became the youngest member of the Senate. 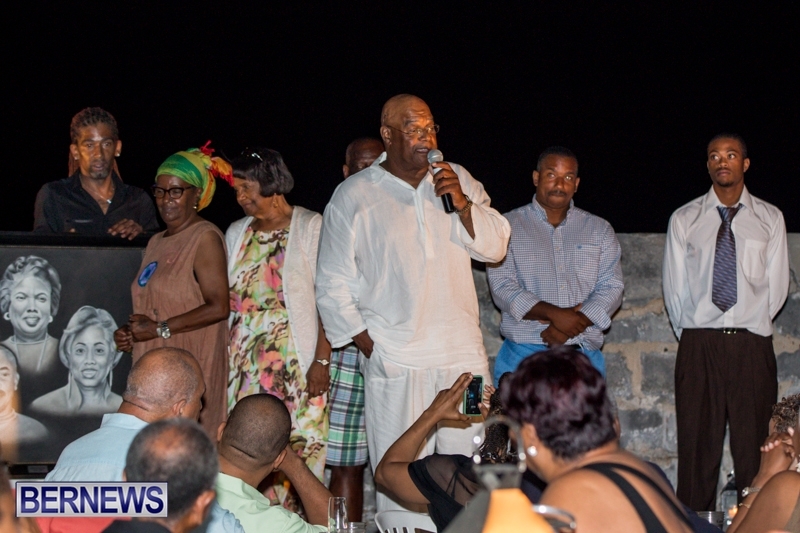 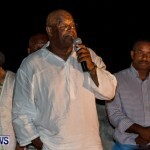 Friends, family and well wishers filed into the Fort with those in attendance including MP Derrick Burgess, Senator Renee Ming, Senator Diallo Rabain, former Minister Lt Col David Burch, former Premier Alex Scott, former Premier Paula Cox, Neville Tyrell, Molly Burgess, Laverne Furbert and Pastor Nicholas Tweed. 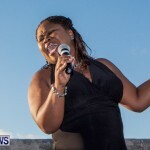 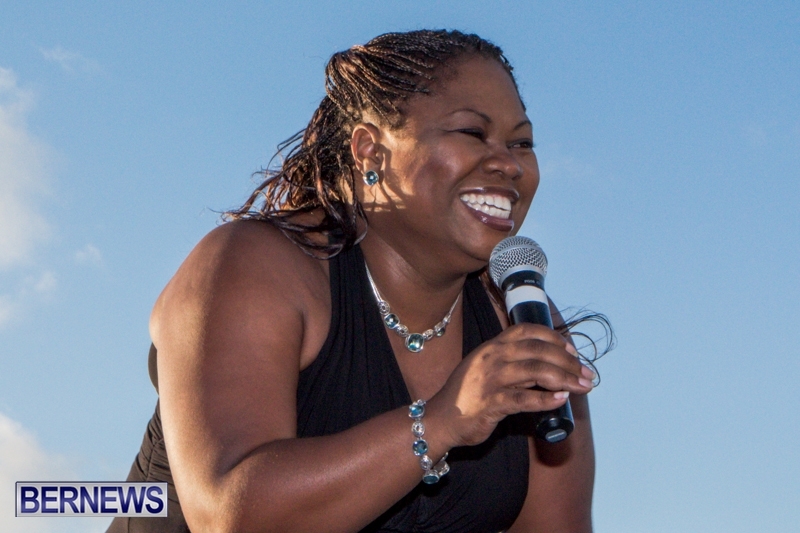 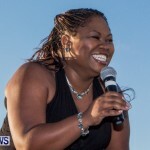 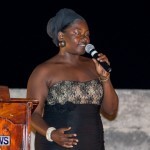 The evening started with a cocktail party and songstress Rickeesha Binns entertaining the guests singing a selection of songs to everyone’s delight. 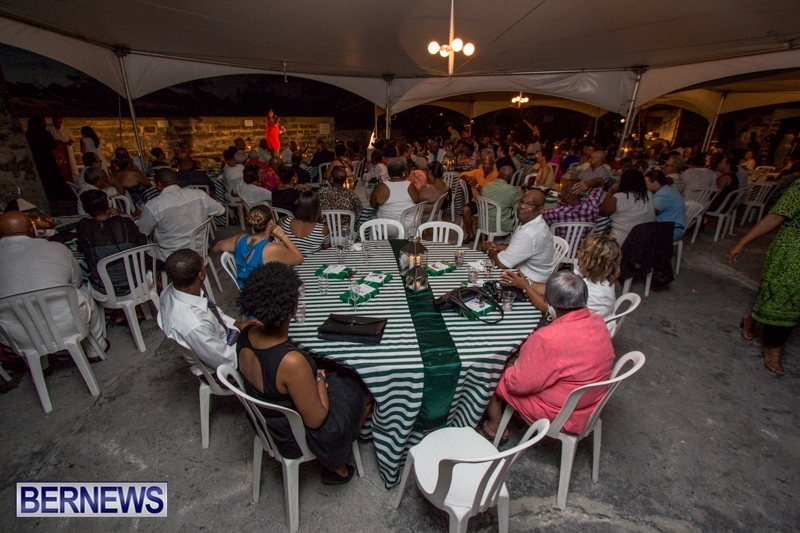 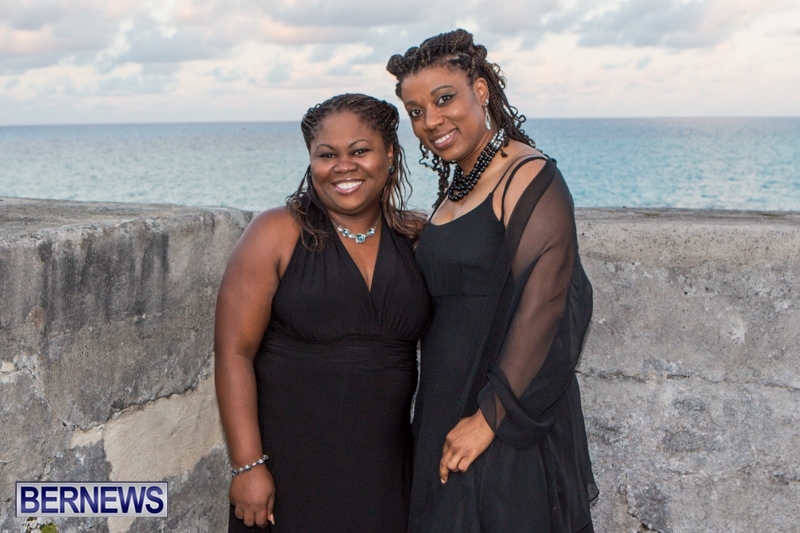 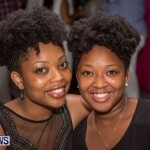 The group then made their way to the seating area to enjoy a meal while the evening’s program was hosted by Tina Caines and Sherri Simmons. 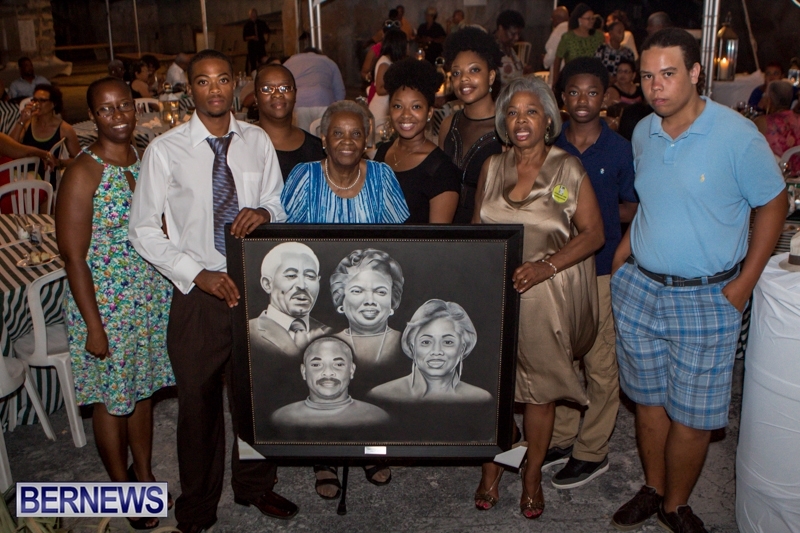 Tributes to the life accomplishments of Dame Jennifer Smith were shared throughout the night with a family tribute by Mrs Marlo Santiago and Miss Karli Smith and stories being shared by Louis Ming, Senator Renee Ming, founder of the Masterworks Foundation Tom Butterfield, Col. David Burch, PLP deputy leader Derrick Burgess and more. 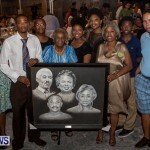 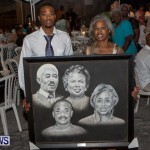 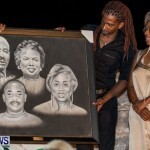 Dame Jennifer Smith addressed the group and was presented a charcoal family portrait drawing consisting of the Dame’s parents, brother and the Dame. 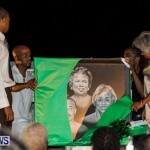 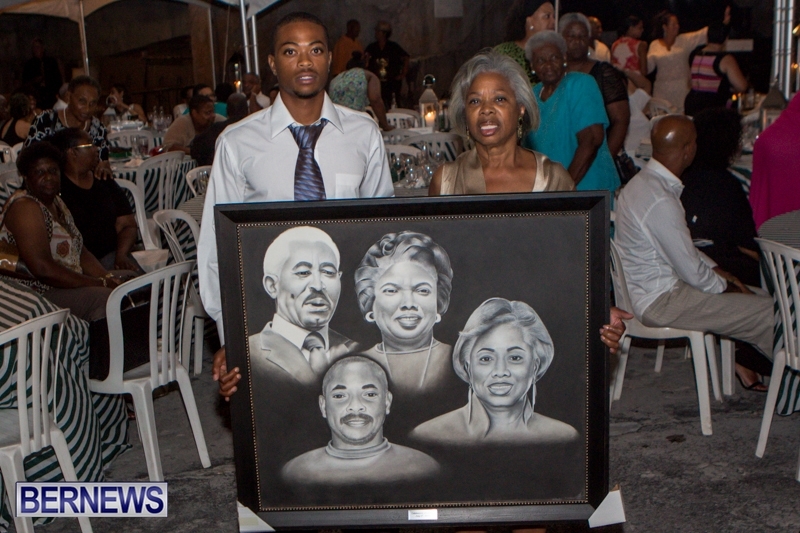 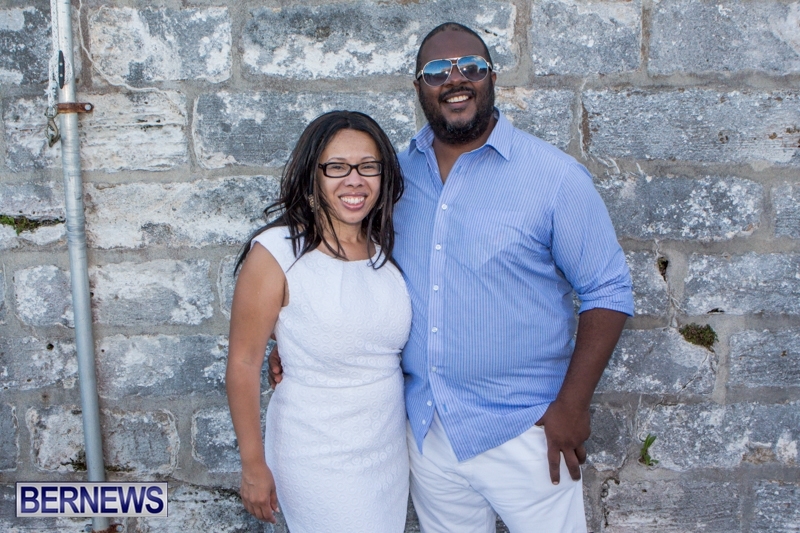 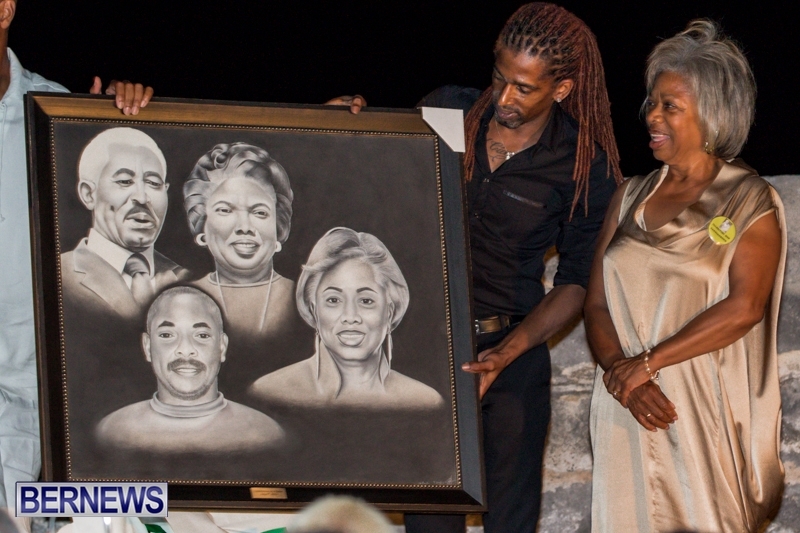 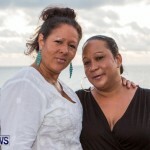 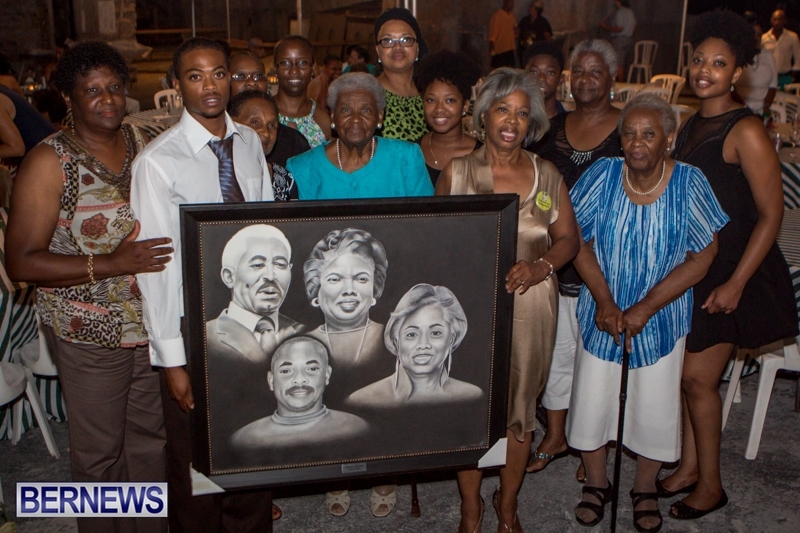 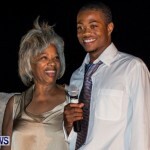 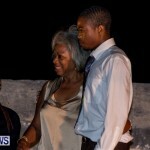 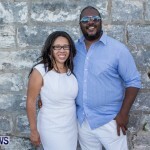 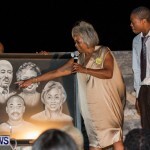 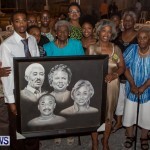 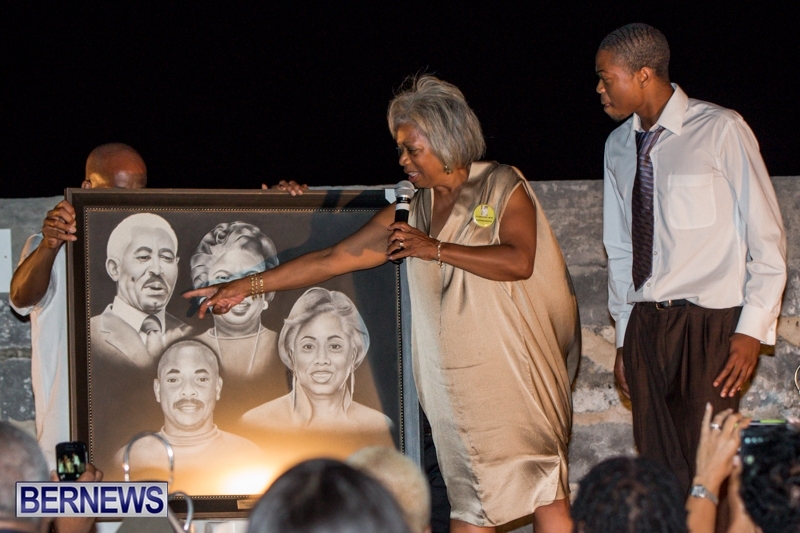 The artist responsible for the drawing was 21-year-old Tai-Quan Ottley who was on hand to help present the piece of art to the Dame along with Senator Renee Ming. 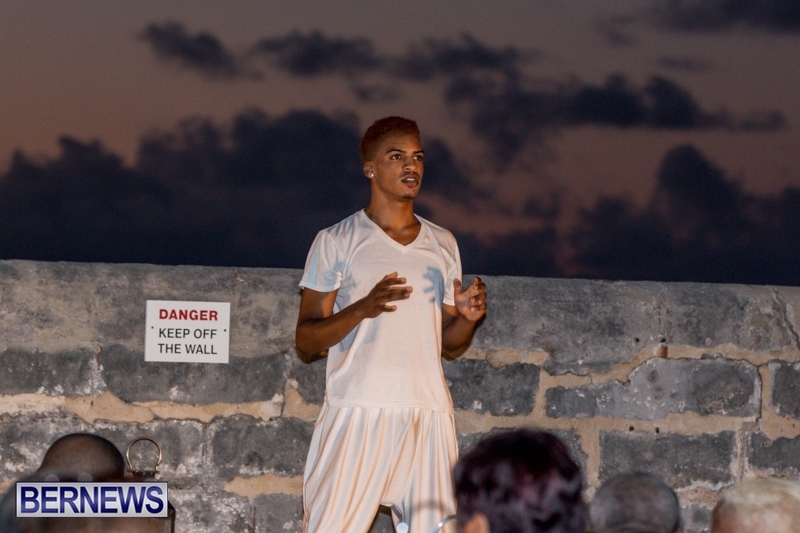 Entertainment performing throughout the night included Priscilla Warren singing, dance routines by Kioshi Burgess of Troika, poetry reading by Chewstick’s Deidra-Lee Bean, and the firing of a cannon to complete the evening. 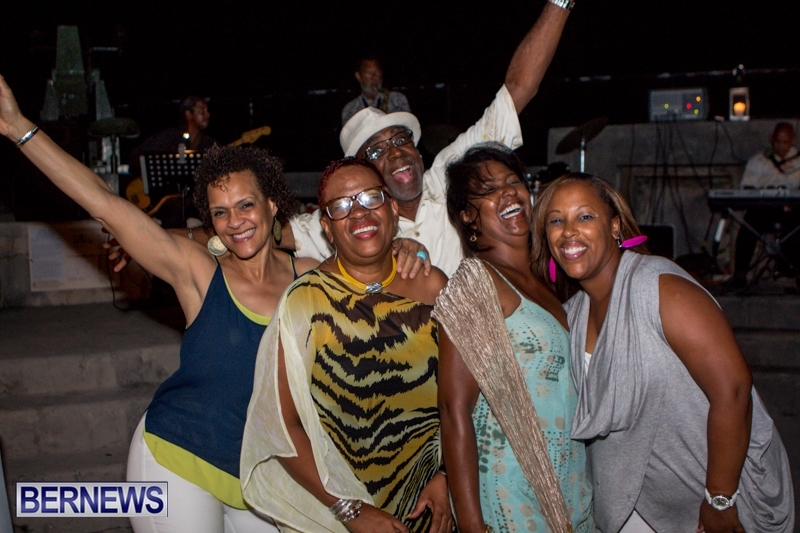 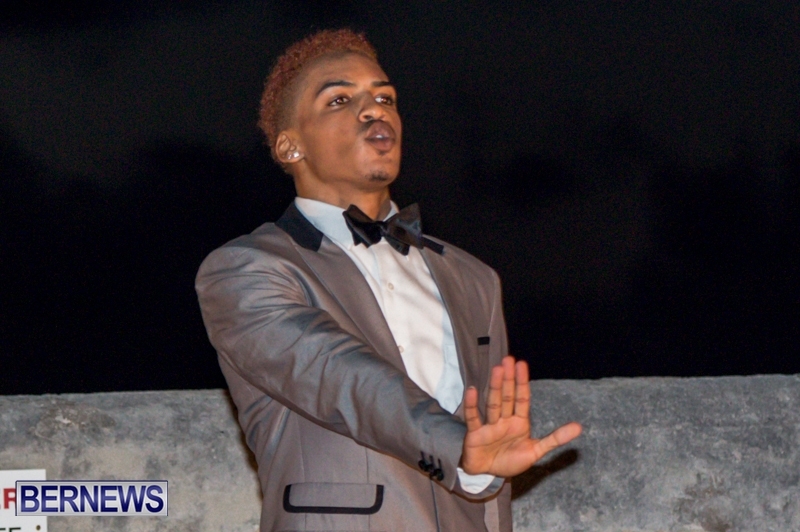 Dancing went on throughout the night with music provided by the Joy Express Band and DJ Gerard Regis. 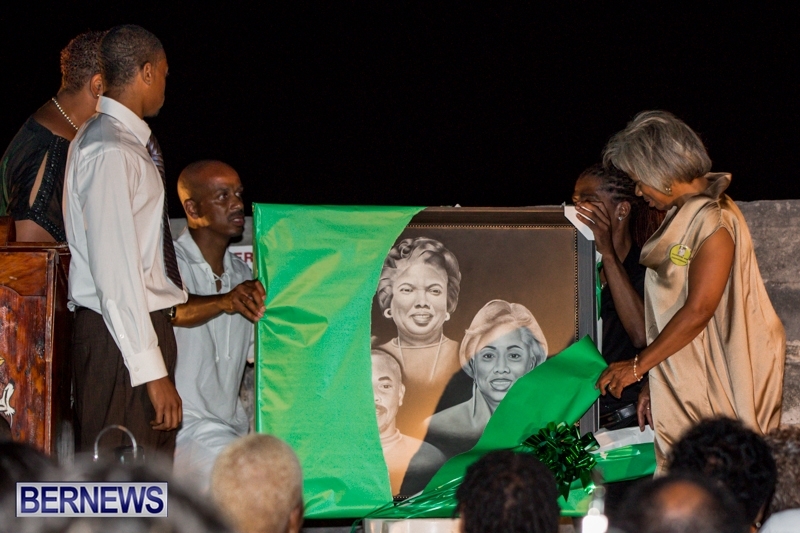 A beautiful evening and wonderful tribute to Dame Jennifer. 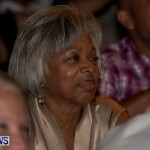 Well deserved, the very definition of a dame.